I’m not going to go over the details of how we got to Cuba because I see them as irrelevant to the bigger picture of the circumstances that came to be. It would also be unpatriotic to reveal the ease of purchasing a ticket with cash money from any one of the dozens of travel agencies throughout Cancun, all selling discrete backdoor entrances into the infamous Pearl of the South. Nor will I divulge deeper in the fact that we found ourselves on a plane full of Americans doing the exact same thing for the exact same reason; to see the “surreality” of existence in this mythical, fabled land before the carpet rolls out for capitalism to get it’s hands onto one of the last places on earth that not only hasn’t welcomed it with open arms, but exclusively blocked it with a socialized shield. For some it was our very first sweet taste of the former capital of the sugar cane industry, for others it was a return back to appease their sweet tooth with another fix. I noticed that for a large percentage of the plane it was a trip back to the homeland to visit family, or that time ran out on their visitor visas and they were bound back for reality. But for whatever reasons aside we were all flying through the air on a heavily used 2nd hand 747 purchased from another airline upgrading their fleet. The seats were broken in like a retired catchers mitt, slightly faded from the sun with padding so thin you could almost feel the grain of the wood it covered. It would come to light that recycling and reusing things until they could no longer function was going to be a common theme in this excursion. 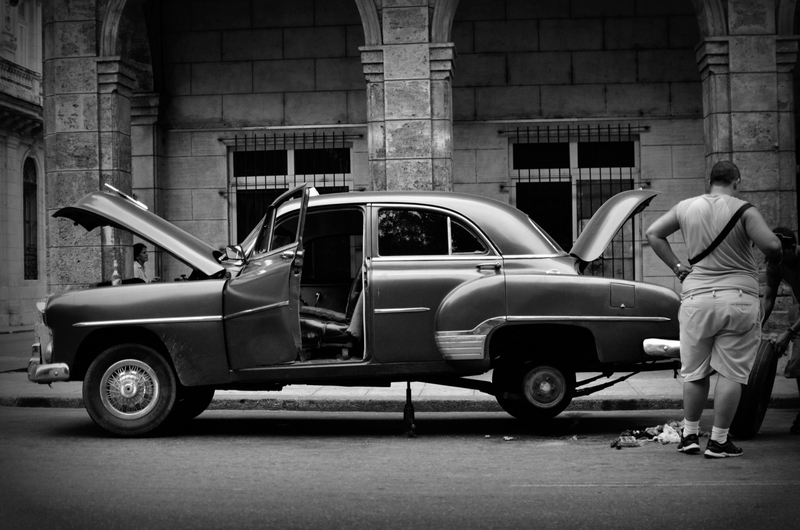 Cuban’s are known for their creative ingenuity, for making the best of the situation what’s available, which is not much in modern day Cuba. But all of this does not cross your mind while you are illegally crossing into a completely unique, surreal, and unknown territory with a gigantic wad of Mexican Pesos in your bag and your heartbeat providing the soundtrack to the movie you are about to step into. The other passenger seated in our row was a man that will be known as Reverend Rum to protect his identity. The Reverend, aside from being able to legally wed couples, was an entrepreneur from California about to celebrate his 65th birthday in Cuba, a plan hatched years ago finally coming to fruition. His wife was cutting him loose for 2 days and flying in on his actual birthday, leaving him to explore Habana on his own accords. Seeing as how we all did not have accommodations it was decided that we would split a cab into Habana Vieja after landing to see what we could procure. With the image of three Americanos blazing into the forbidden land in an antique classic American land yatch we touched down onto Cuban soil, instantly teleporting into a strange new world. If the immigration process went down as smoothly as the on flight beverage it would have surely broken my streak. As we lined up in neat, single file lines in front of a row of about 15 pale green windowed booths something eerie crept over me and a slight discomfort began to stir within. 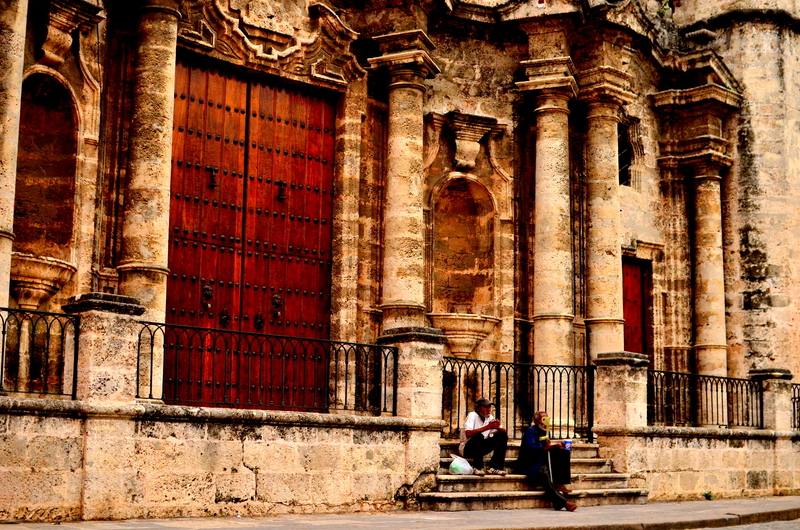 When entering Cuba you should have documentation declaring where you are staying, although I heard that a verbal statement is all that is usually necessary. I stepped up to the plate anyway and struck out on the first three pitches. I had all my answers previously prepared in my version of Spanish but fumbled them the second I was looking into the most intimidating Cuban eyes that life could possibly create in a woman, who also could read the fear that was stamped onto mine. It seemed like my charm was absent from the entire conversation and uneasy mannerisms most likely dominated the exchange. It also could have been partly due to the fact that my passport photo, taken when I was 20, looks absolutely nothing like me. When looking at the face of the young, short haired Polish American inside my passport compared to my present day appearance of a mildly seasoned traveller donning a poncho villa mustache, hand-sewn jean shorts, shoes adorned with a gigantic rip in the heel, and hair approaching shoulder length. I probably looked as if I was trying to pull a quick one on a sleepy officer. I was instantly pulled aside in an imaginary problem line while I watched others breeze through the exit doors and into the world on the other side. I was a man of mystery, an enemy of immigration. After 30 minutes of incessant questioning and a very thorough inspection of our checked baggage and we were finally off. After changing some peso’s for what would become our confusingly new foe we sought out a state run taxi with CUC’s in tow. 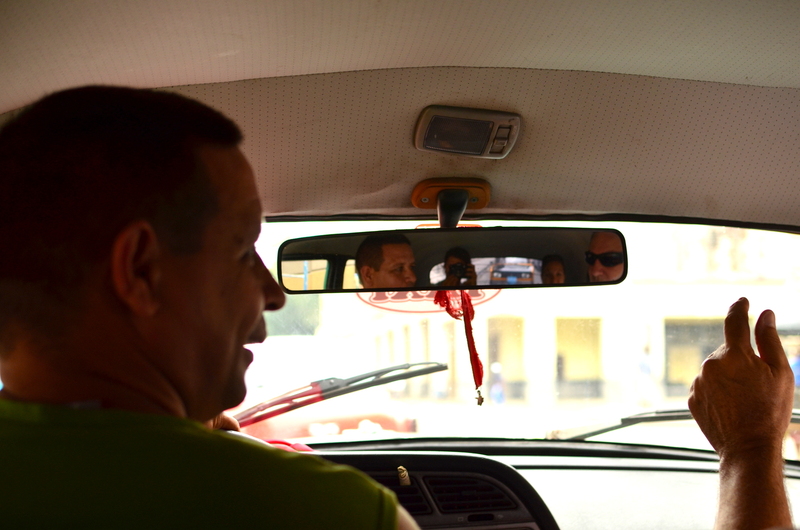 Our driver gave us the very first dose of Cuban humor and their genuinely magnetic personalities as he carried us through the time warp. He told us it was much more “seguridad” taking a professional taxi service because illegal taxis were unreliable and sometimes drunk. Moments later he almost came to a stop in the fast lane looking at our map trying to figure out where our destination was. “Seguridad?” we chimed in as cars were flew by blaring their horns. “Mas o menos” he said with big Cuban grin. And after 20 more minutes of turning back the hands of time, our chauffeur pulled onto our road and drove us right into a Polaroid picture. The scene was drenched in a yellowish orange light framing a retired school bus surrounded by kids playing either shirtless or shoeless on crumbly, dusty ancient roads riddled with potholes. Casa Particulares are cozy hotels set up by families offering a clean room in their house to be able to reach the infamous CUC’s that foreigners are supposed use exclusively. 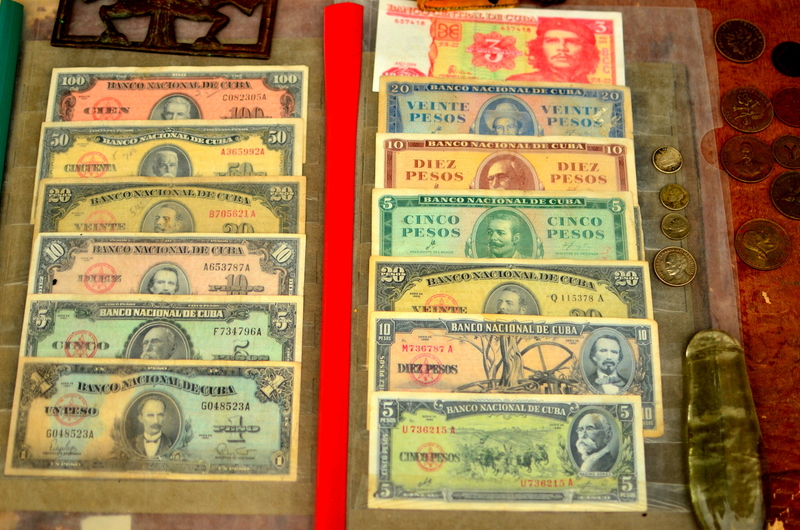 CUC’s are worth about 24 times what a Peso Nacional is worth and are the only way to get access to luxury items that the moneda nacional can’t touch, mainly imported items. Once these were legally allowed it gave Cuban families a chance to stretch away from poverty and into more of a very low middle class. 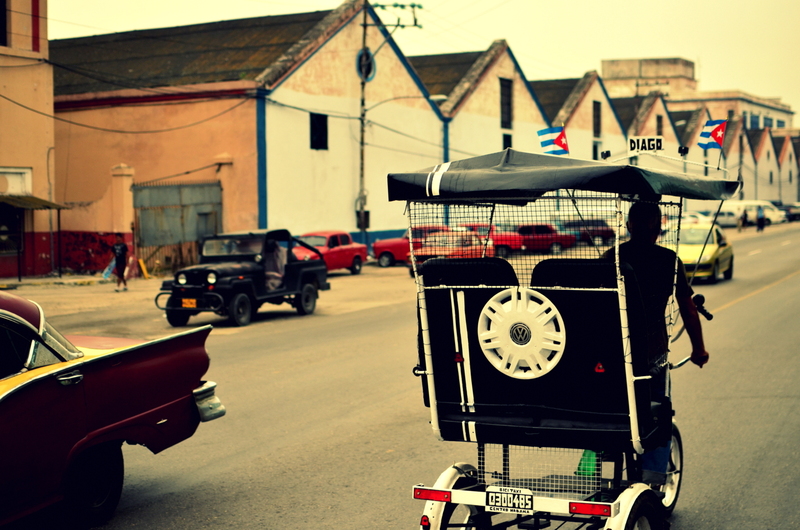 Casas also get tourists out of the hotel bubble and right into the rhythm of the neighborhoods that Cubans live in. 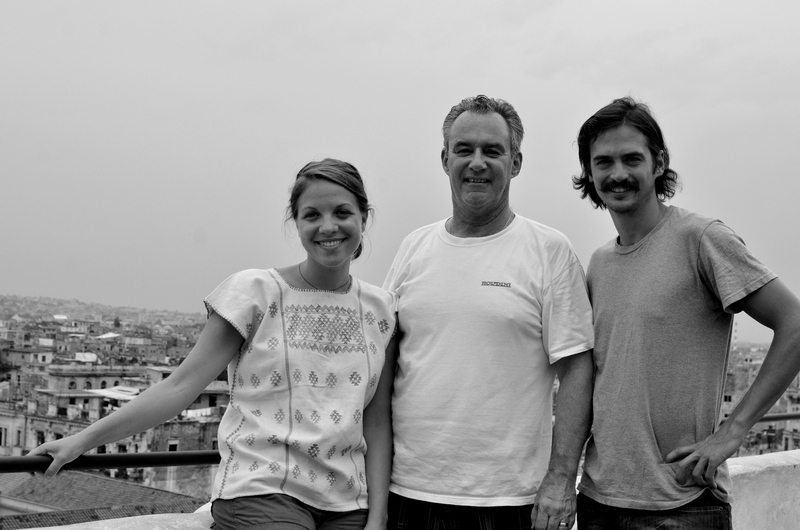 When Lidea opened the door we met our momma in La Habana for the very first time. She was one of the most pleasant women I’ve ever encountered and she guided us right into our big, simple rooms with a 20 foot high ceilings. We then were introduced to Lidea’s husband, Argelio, who turned out to be a retired Cuban geologist. It seemed somewhat fateful to end up in their house and we soon found ourselves getting lost in the world Cuban geology, hydrology, and geotechnical engineering projects he’s worked on. Argelio took us up to the roof upon finding out that we were into photography to show us our first Cuban panoramic of the old town. Not wanting this ride to end we soon ventured out exploring to get a drink and some food in this dreamscape city of the past. Going on some crude directions from our new parents we were kicking pebbles along dark, empty streets of late night Habana. 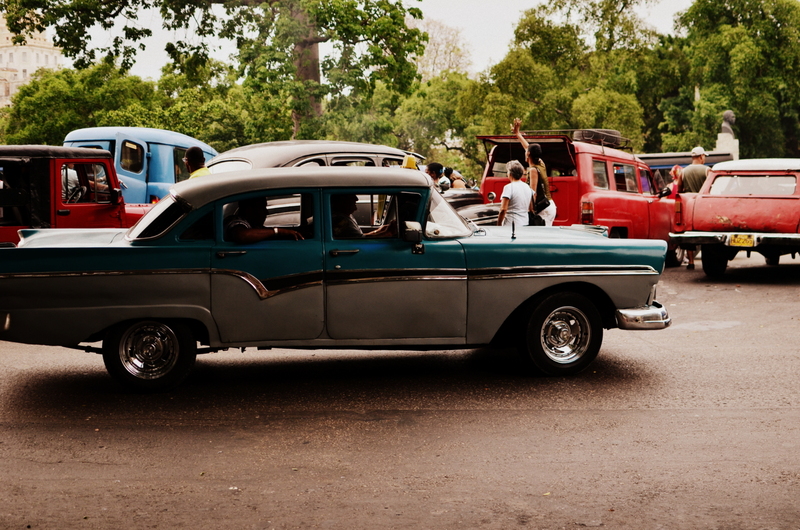 There were very few cars driving around but tons of Cubans strewn about, lying around on benches, chit chatting the night away while us wide-eyed Americans were approached by touts trying to swindle some of our money. Aside: Touts are very friendly, usually speak enough English to draw you into a conversation, and eventually reveal in some form of another that there is a money interest rooted into this interaction. 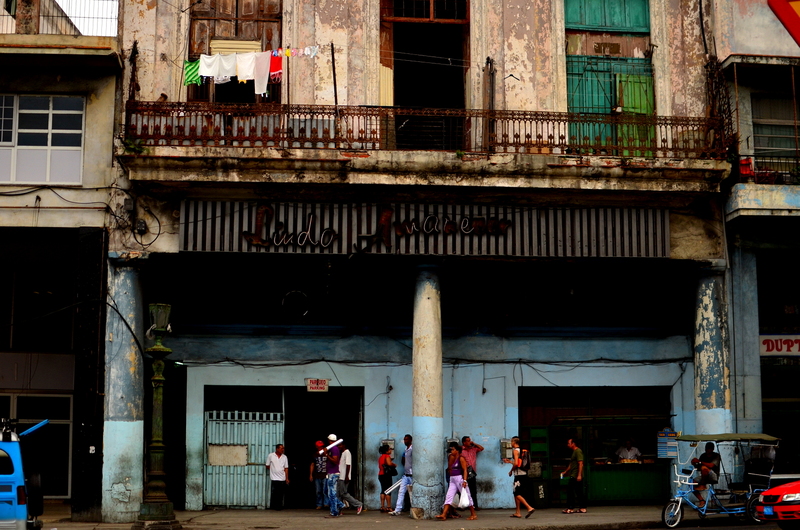 The black market in Cuba is the only outlet to get ahead of the game touts and street hustlers can be very suave and persuading in their ways. Anyway, we soon found ourselves in La Floridita, an almost 200 year old bar that is the “Cradle of the Daiquiri” and infamous for being Ernest Hemingway’s old haunt. After going out for just 1 drink, we were quickly absorbed in the live Cuban Son playing from the finely tuned house band. 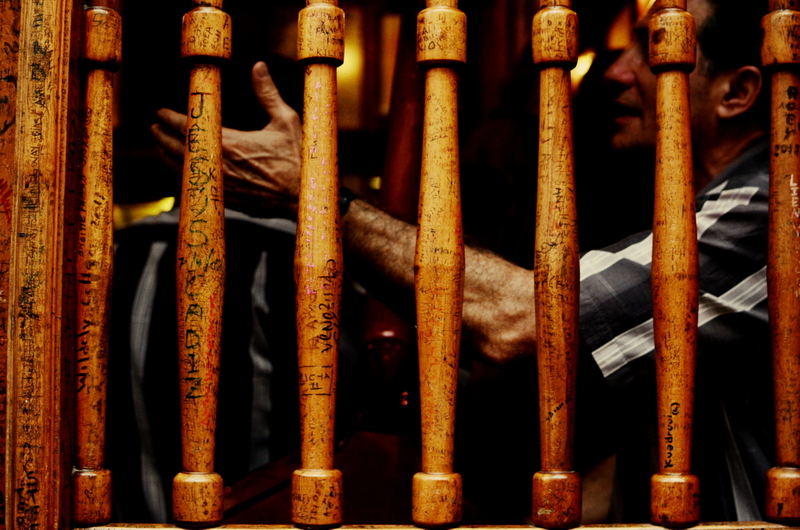 We soon began to count the straws on the mahogany bar staffed by clean cut Cubans donning red sports jackets. Cigars rolled out, mojitos went down, and new memories were being created as the unbelievably smooth Havana Club Rum ran past our gums. Completely forgetting about dinner we closed down the bar and followed the sound of music about 1 block away. A massive bouncer was guarding the door to a dive bar with soulful Cuban music blasting out of the open windows. We were soon swept into the saloon style doors and into a room full of bright white fluorescent lighting, salsa dancing, and a live band of about 12 musicians creating beauty on beaten down instruments. They say that music flows like a river through us in Cuba and by the end of the night I felt like I had figured out exactly how the universe worked in this unbelievable corner of the world. All questions immediately had answers and I felt absorbed into the frequency this city was creating. The rum probably had a lot to do with this. I remember feeling something more than just being, that I somehow found a secret grass covered door and tapped into the power grid of the planet and began existing within it’s flow. When the music stopped we found our way back to our Casa, with the help of my internal GPS system and about 8 mojitos . We slept hard that night, and didn’t wake till nearly 11AM. 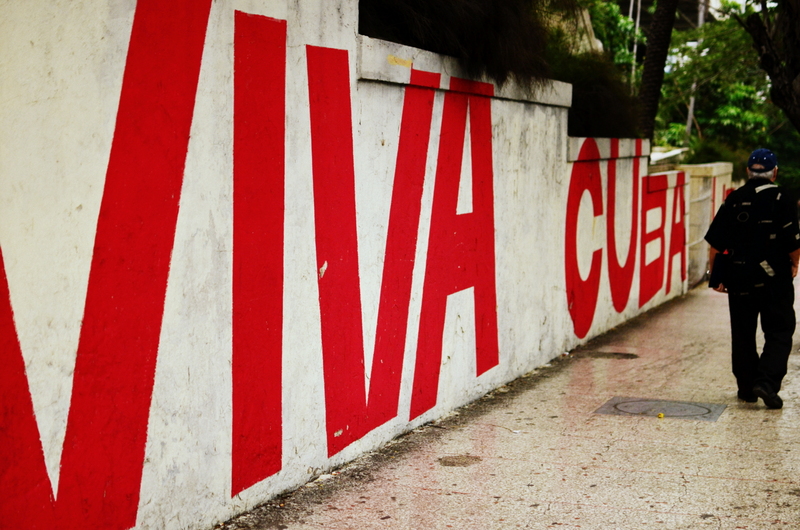 The whole understanding of Cuba in it’s entirety had faded away into the brutal reality of a hangover in Habana. Our first Cuban friend turned out to be a man coined Super Mario. Super Mario convinced us to take his horse drawn tour for the low low price of 15$, which eventually turned into 20$ because he didn’t have change (like everyone else in Cuba). 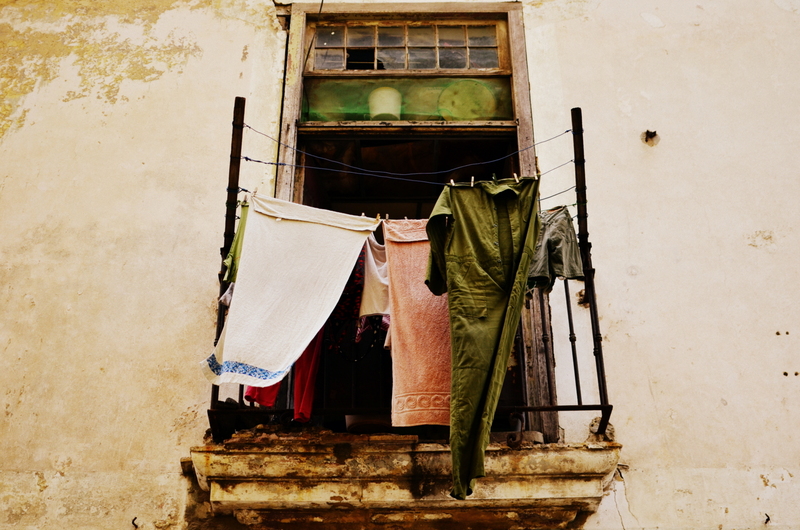 Mario went through the in’s and out’s of life in Cuba (according to him) and shed a little light on how the socialist housing worked in Habana. 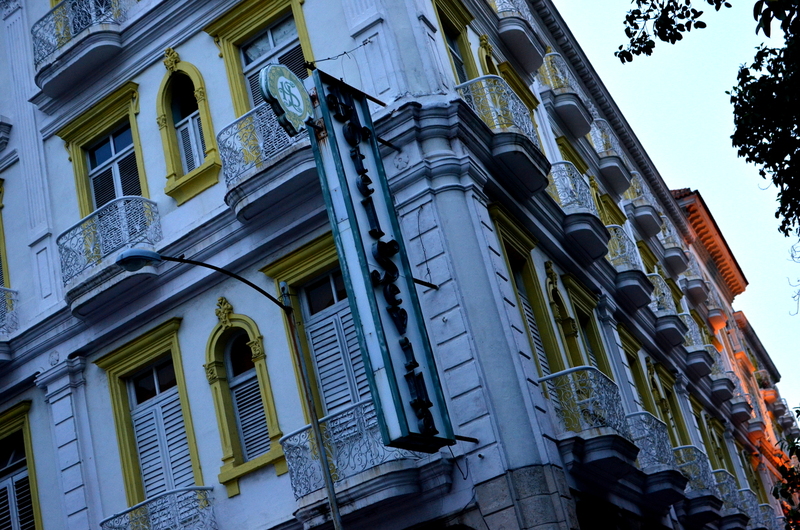 When Fidel took the reigns of Cuba he abolished all big foreign enterprises and placed people in need of housing into former swanky hotels, banks, casinos, and high end real estate ultimately creating a surreal and unique atmosphere about the town. Just take one look around the Capitolio building, which is an exact replica of the United States’ State House except 1 meter taller, and you will see families hanging their clothes on the balconies of heavily aged formerly high-end real estate amidst a sea of pedestrians, giant city buses, and tourists equipped with cameras. 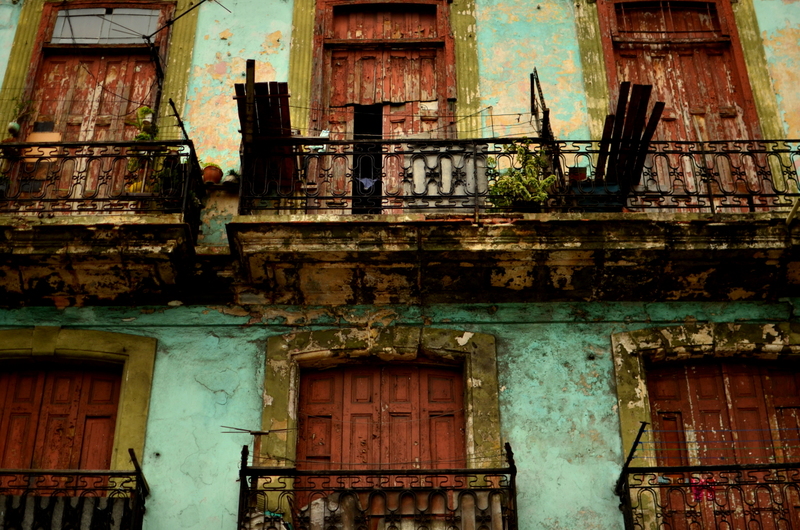 Doors and windows are barely holding onto their hinges while paint is curling up and away from the exterior walls of these ancient edificios. Mario explained that when housing becomes too unlivable for Cuban standards (meaning the floor collapses or the roof caves in) families are relocated outside of the city center. Reconstruction occurs solely for tourism purposes, which is kind of the opposite of what Fidel’s original ideas for socialism where born from. The next few days we spent walking into different neighborhoods in Habana, getting hassled by touts, and figuring out just where we could spend the peso nacionales while also figuring out exactly what was available (spoiler; not much). A trip to Chinatown had us indulging deep fried mystery treats for about 4 cents a piece. Wandering near the Capitolio we discovered pork fried rice complete with eggs, a few carrots, and pork with the hair still on the skin. Up on Obispo we found one of our favorite window paladars serving up piping hot pizzas with a barely noticeable cheese layer and toppings such as hot dogs and pineapple. Ice cream was cheap and delicious and always seem to capture the attention of Cubans throughout the day. We took our stab at finding cheap peso paladars and found ourselves in someone’s incredibly hot living room eating beef sandwiches (steak and bread) and spaghetti especial (hot dogs and ketchup sauce) with a 5 foot tall picture of Jesus looming above us. It’s amazing the strange places you find yourself in when you let wonder preside over self preservation. After purchasing our bus tickets in advance (necessary for foreigners in Cuba) we walked forever until we finally found ourselves in Vedado. We killed the afternoon wandering the formerly upscale suburbs that were heavily influenced by the mob scene from the 20’s to late 50’s. Hotels that looked like they had been cut out of a 40’s magazine were still bearing the exact same outside shell, but what lies within their walls will always be a mystery to tourists. After seeing the old Riviera we stumbled upon Coppelia, a state run ice cream establishment that can be as confusing for an outsider as trying to read Hieroglyphics for the first time. There is a center dome-like structure with a huge line and small outdoor cafe-like areas along it’s perimeter. The trick is to wait in the line and get herded into one of the 5 rooms upstairs and hear what kind of ice cream is available. Three scoops of ice cream seems like enough until you look around and notice that people of all shapes, sizes, and ages are ordering between 6 and 9 scoops just for themselves. A stroll along the malecon at night made us late for our date with the Reverend to meet his wife and their friend that flew in with them. This also inevitably made us too late to convert money at the change house to pay our Casa Particulare in the morning. But I somehow knew our wrinkles would smooth out in Cuba and everything would fall into place. The plan was to wake up early in order get to the bank by 8 AM, which was approximately 14 blocks away, in order to catch our 9:10 AM bus to Vinales. If we messed this plan up we were going to push our whole schedule back a day and also be out 24$. This may seem like an easy write off to most but to long term travellers is a dire mistake, and for a normal Cuban is a whole months salary. I took a stroll through another part of town we hadn’t seen yet and was casually brought back to down town America in the 50’s with big wide roads, signs of the businesses of yesteryear hanging across the road, and a general hum drum of people getting their day started. Peering into an open door I found myself looking at a butcher shop with three massive dead pigs on the floor being inspected by potential buyers. The day before I saw a man put a live pig into a bag, hoist it up over his shoulder, and then casually walk away. It’s strange how normal scenes like this have become. After reaching the bank the guard informed me it would not be open until 8:30. This was a big problem. I quickly walked to the next nearest change house, which supposedly was open at 8, to take a stab at fate. Upon arrival I was informed that this bank opened at 8:30 and the only other bank in town kept the same hours. Frustrated I waited by the door and witnessed the magic of the Cuban line system’s birth. In Cuba there is never a normal waiting line for anything. There are people hanging around, chatting on the sidewalk, or even grabbing a beer to kill a few minutes before it’s their turn to step in. When a person arrives at a bus stop, bank, or the movies they ask “el ultimo?” and see who the last person waiting in line is. Little by little Cubans came and the invisible line was formed. When the bank finally opened the que magically fell into place behind me. After quickly exchanging money I started sprinting on the route I had mapped out in my head. Children, Men, and women were popping out of their doorways to hear the sound of two feet slapping the ancient pavement as I was taking strides at full speed back to our Casa. I could read the confusion in their eyes because running is absolutely void in this city. Nobody is ever rushing to be somewhere and the quality of the air less than favorable due to the black smoke that the piecemeal diesel engines are constantly belching out. I could feel all eyes on me while my heart was pounding and my legs were carrying me closer and closer to our ancient Casa’s door. Upon reaching home we had about 15 minutes to get to the station. Our cabby initially brought us to the wrong bus station, against our requests and questions, and we had to dash to get back in his cab before he disappeared. We passed our bus on the way to the right bus station and sprinted the moment we hopped out of the 57 Ford. Somehow luck managed to get us on the bus, or maybe it was a bit of the Cuban magic that we were becoming more and more aware of. Magic! I was in Cuba in 1995……..long time ago..and still keep with me memories of a magical world. That was back during the periodo especial no? That must have been a very interesting time to see Cuba, when money and resources were even more scarce than they are today. It was one of the most interesting places I have ever seen, for sure. I never felt the inclination to visit Cuba and after reading your post (which I enjoyed reading) once again I am sure I have no interest in visiting this place. The caribbean is full of islands with beautiful beaches, waters etc. I like to immerse myself in the local cultures but I do not like to be “forced” into anything (as using different money then the locals, etc) – I also have had enough friends visiting Cuba who told me how they felt the overall unhappiness of the people and how the lack of supplies, even in the hotels for tourists is a constant, buildings are not maintained, just a sad place for my taste. 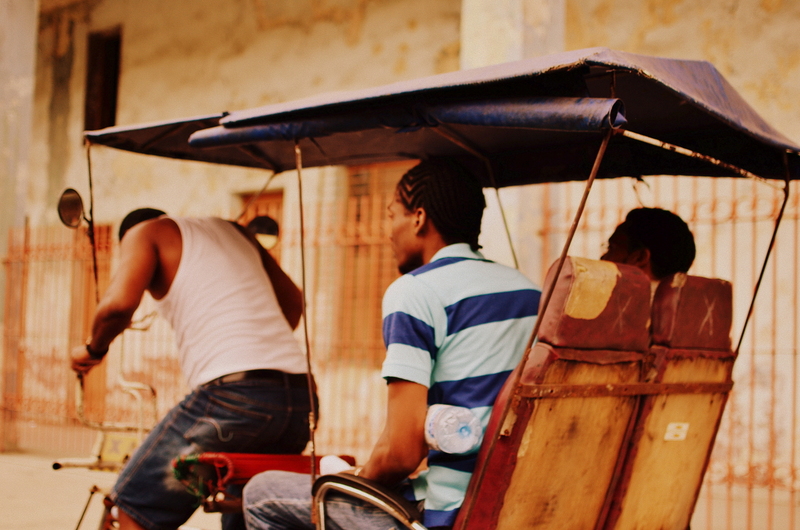 Cuba is not a place for everybody to go and see first hand. Visiting any country in the Caribbean and/or Latin America can be a challenging and eye opening experience. What is sad to me is that you feel this way about Cuba based on your friends experience and my own as well. I’m a big fan of “see it for yourself” before you make up your mind. Cubans, in general, are very happy people. They don’t have to the outside influence of capitalism and first world wants and desires influencing their daily thoughts and routines. It’s crazy for us to think of a world without the freedom of using the internet, reading any magazine we would like, listening to whatever music we desire, etc. But the result of being kept in the dark from the way the rest of the world is evolving (plus the lack of stress for having to worry about politics, consumerism, health care, housing, etc..) has created a pretty damn unique environment that you have to immerse yourself in to truly understand. Without the worries that 1st world countries have and the brotherhood that has been created (in Cuba everyone helps each other out and has been through some hard, crazy times) Cubans walk this earth to the beat of a different, more patient drum. ANYONE who spends too much time in Habana will get burned out; it’s a very in your face city but at the same time is very fun and truly unique. 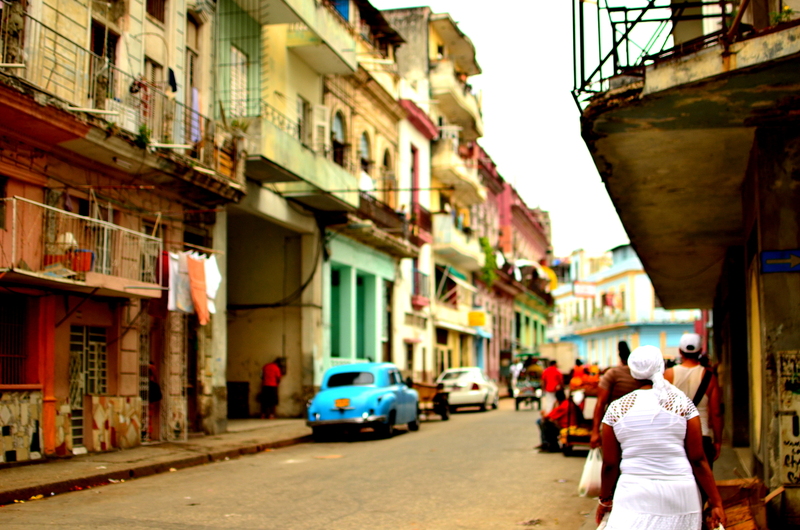 Habana is a very real place and doesn’t hide tourists from seeing what life is really like, and that is something that I love about Cuba. It’s not for everybody, and can be too much for some. With that being said, Cuba also has some of the most beautiful beaches in the Caribbean and all-inclusive resort style hotels that sound more like what you would be looking for in a getaway. Go to google and image search “cuba’s beaches” if you want to see for yourself. Other places in the Caribbean do a better job of hiding the real culture of places the resorts have developed, which to me is a complete waste of time. I don’t see the point of going somewhere like Cancun or the Dominican Republic just to be tucked away in the safety and comfort of a resort when only a few miles away the real country sits in the shadows. I like to see travel benefiting the place it is showcasing, and in Cuba you can put money directly into the hands of people when you stay in their homes and eat their meals (casa particulares), which is pretty damn cool. But that’s just my opinion. Different strokes for different folks. Thanks for dropping by and commenting, comments are always welcome! I completely agree with you! I have never been interested in going to resorts or lying on the beach without seeing anything. I love getting into the local culture. 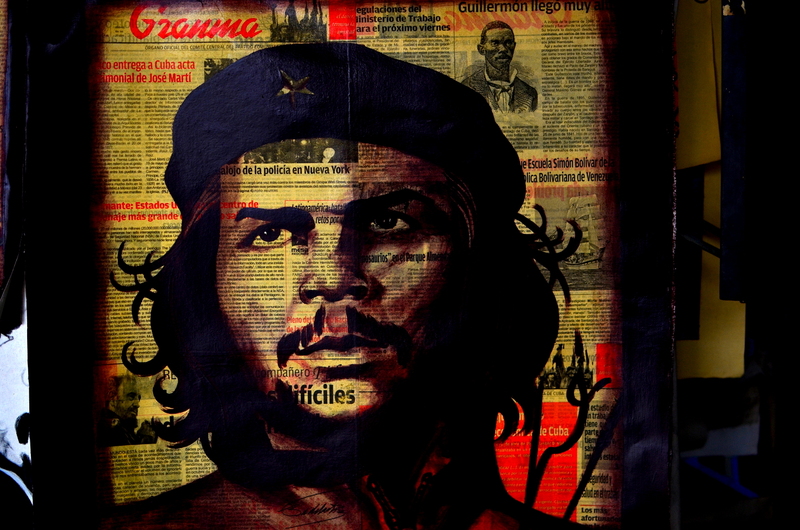 I went to Cuba in 2001 and what impressed me was music and art everywhere. You couldn’t go anywhere at anytime without hearing some kind of music (and all of it GOOD! ), and artwork is everywhere: on walls, doors, streets, not just in studios; although we visited some interesting studios as well as the Institute of Art. 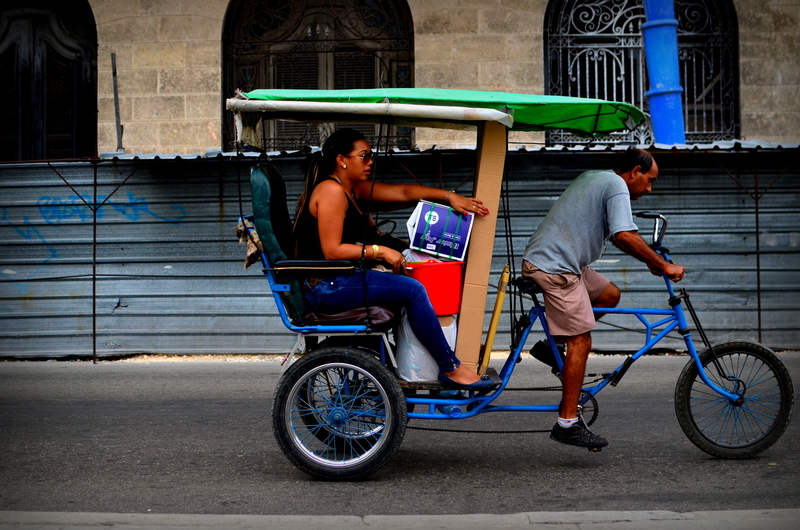 Also, the Cubans are very ingenious people – they’ve had to be, having to make do with so little. So they don’t waste anything – everything becomes either something useful or a work of art. I also agree with you that I found that Cubans are in general, happy people. They don’t much like the government and many of the restrictions they have to live under, but they have their families, their friends and their unique way of life. I’d go back there in a heartbeat if I had the opportunity! 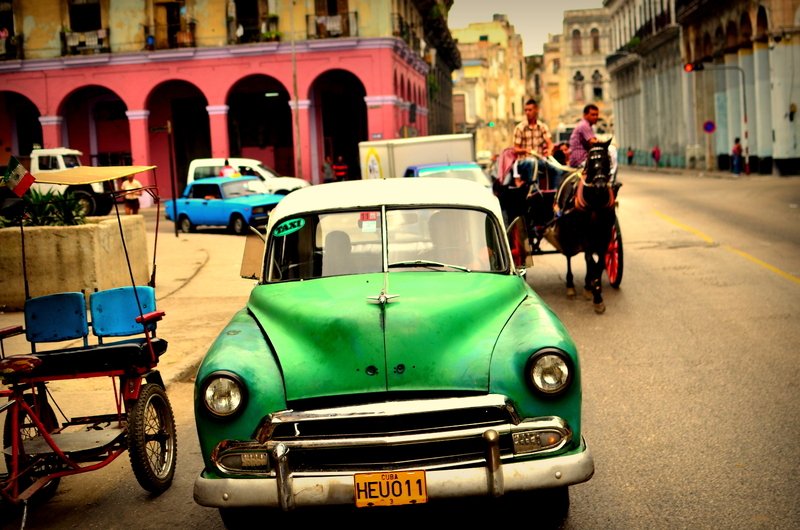 Cuba is one of the places I would love to go to – unlilkely I will ever make it…your blog is superb, your pictures mesmorising and your writing is hypnotic..superb! Make it happen, you will not regret it! The sooner the better too. It is one of the most photogenic, and safest places to take pictures (believe it or not) you might ever find. Pick up some Spanish before you go. These are gorgeous photographs- can I ask how you edit them? Excellent photographs! I’m curious to know what camera you use. Thanks! Nikon D7000 with a DX 35MM prime. wonderful post, wonderful pictures, wonderful…. I’m glad you could come along with me Lynne, that is one of the main points of this blog’s endeavors. I wanted to be able to bring family and friends along for the journey with a real, unfiltered view of life from a backpacker’s perspective. If you can swing a 2 week vacation I highly suggest it, although 2 weeks didn’t feel like enough time either. Thanks for stopping by! Your Photos are breathtaking. I have only been out of the USA one time, and it was to Africa, since then I want to go anywhere and everywhere. 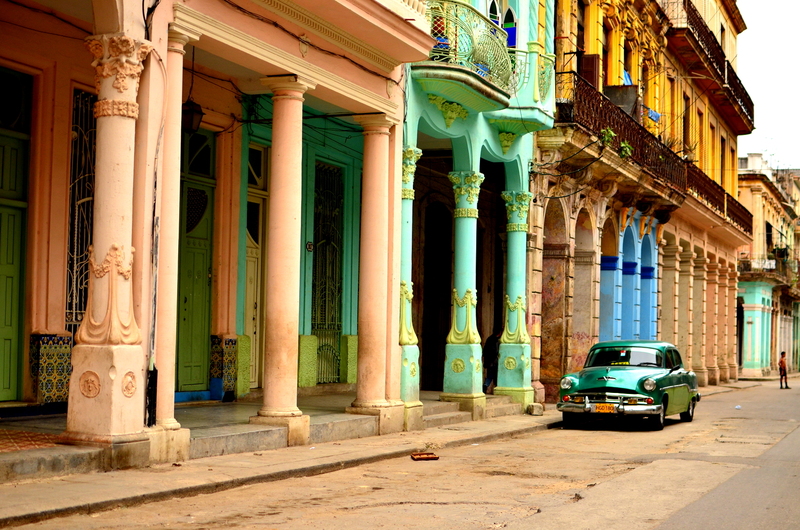 Cuba looks so exotic and creative. Makes me want to hop on a plane tmrw! Excellent post. Your blog took me back. I was there some years ago and, being a bit of a music nut too, I loved it. I’d go back tomorrow – circumstances permitting. I do wish people would stop viewing Cuba through accepted western standards. Fifty years of economic embargo hardly creates a level playing field. But what has been created out of this is the most chilled out place I think I’ve ever been. Looking forward to reading and seeing some more of your travels. You hit the nail on the head amigo. It was definitely one of the most laid back places, but super real as well. Thanks for stopping in. What incredible photos and descriptions – I felt like I was there. Fantastic! Thank you for sharing your adventure to Cuba. Photo’s are amazing and you have captured so much life in them. Your post was a great way for me to start my week. 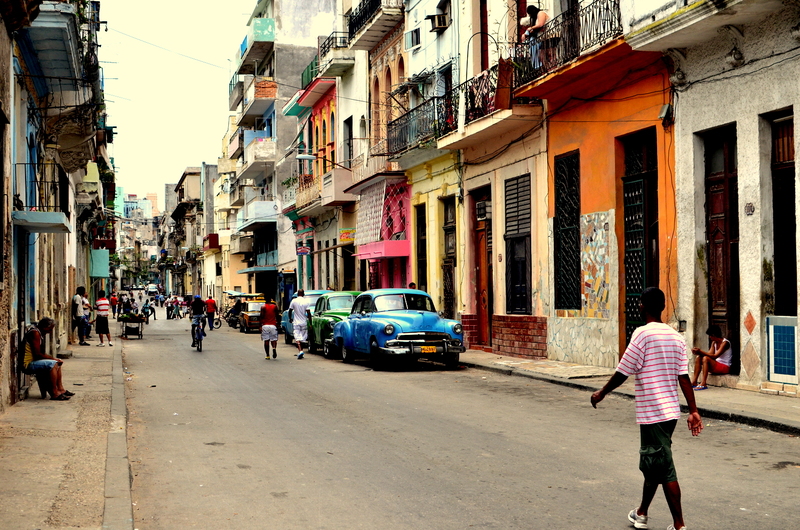 After being to a few other Spanish-speaking countries, Cuba is an easy first on my list of places I’d like to go next. This post definitely helped confirm that! 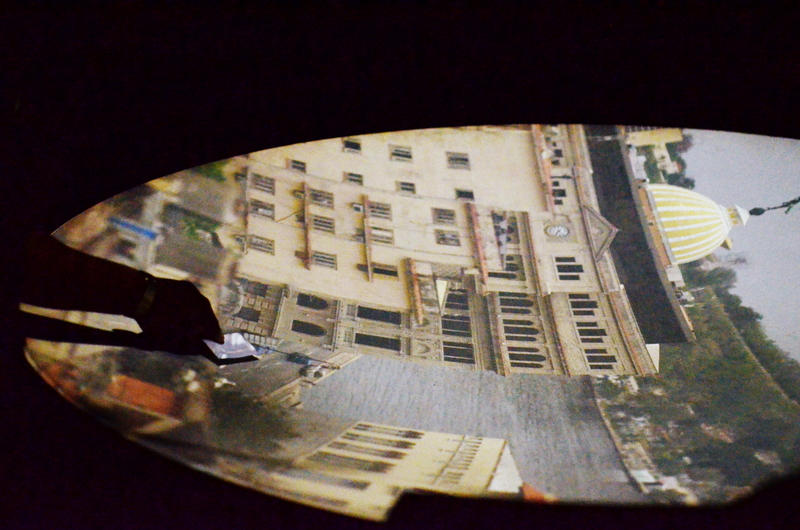 The pictures are absolutely fantastic; everything’s captured through such a cool perspective. What a great way to be able to remember the trip. GREAT photography! it steals my heart though i´m not there. beautiful blog you have here!! Great photos and a country I would love to visit at some point. Fantastic Post! Loved and I do mean, loved the pictures. I kept saying, “Wow”. 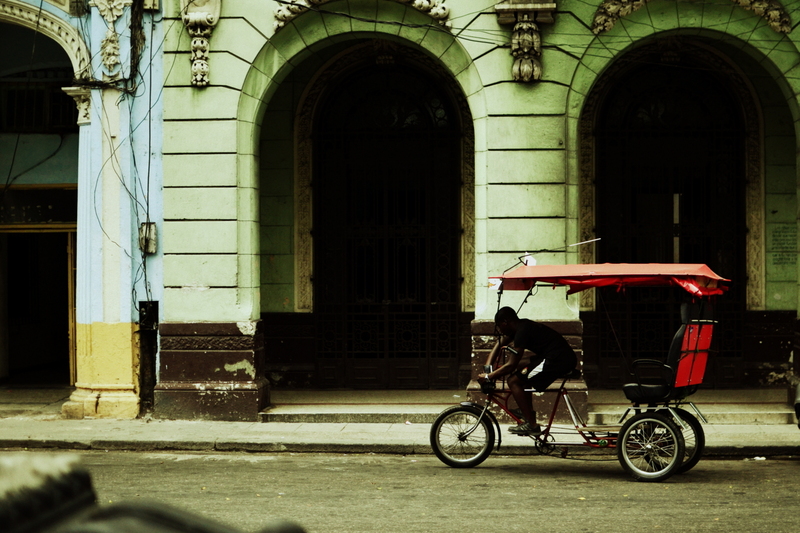 What an amazing opportunity to not only have gotten a glimps of Cuba but to have captured the real Cuba through a lens. Great photos! I love the snaps. Simply excellent. Your photographs are as good & interesting as your words. Or viceversa. you took the words out of my mouth! I meant to put a link to this song for readers to listen to while they read but forgot. Thanks for the video reply! incredible incredible photos. always nice to come across a travel blogger who can both photograph and write! very impressed and a well deserved freshly pressed! Love it, brought all my memories back of Havana and intercity buses around the country. Your living the dream. Good work mate. Wonderful post and lovely photos! So glad it was Freshly Pressed or else I might not have found it! I wish I could go to Cuba one day. One of the places I haven’t really been to but would like to. I absolutely love this story and the pictures! I want to thank you for sharing. Hopefully one day I’ll visit too! Gorgeous photos. Congrats on FP! This post is not only a picturesque grandiose, but a superb visualizer in terms of your narration. Always liked the latin culture and a big fan of cuban music. Your words and pictures tempt me more to explore and experience the latin side :). Thanks a ton! my God, my English is so rusty that it took lots of efforts to read two paragraphs. i\’ll try again tonight ) meanwhile, just wanted to share that i love the photos. what\’s your camera? Lo siento amigo, yo puedo escribir en ingles mucho mejor que espanol. Puede tranducir con google para leer mas facile? Buenos suerte y muchas gracias para su comments. 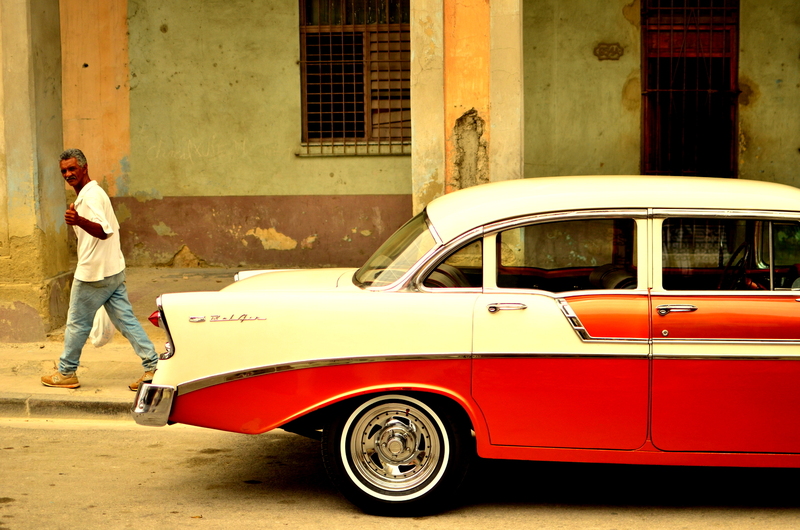 Wonderful photos … I really would love to see Havana … and listen to the music, especially. Here’s to hoping that these pointless restrictions are lifted soon. Wonderful photos! I have been to Cuba many times – as a Canadian, it’s a popular holiday destination. Your description of seeing Havana for the first time too me back to the first time I was in the city. Great post! Excellent picture’s. I like this. Great post of Cuba. I love the culture,people and music there. Hope you come to Vietnam soon for another amazing post. I’m half Cuban and have never been there. I absolutely LOVE your pictures…you captured everything! I also appreciate your kind words toward Cuban people and Cuban culture. Excellent post. Thank you so much for sharing this treasure with us. You are very welcome. I think you should take a visit there sometime and see what it’s like. More to come on Cuba soon. Amazing! 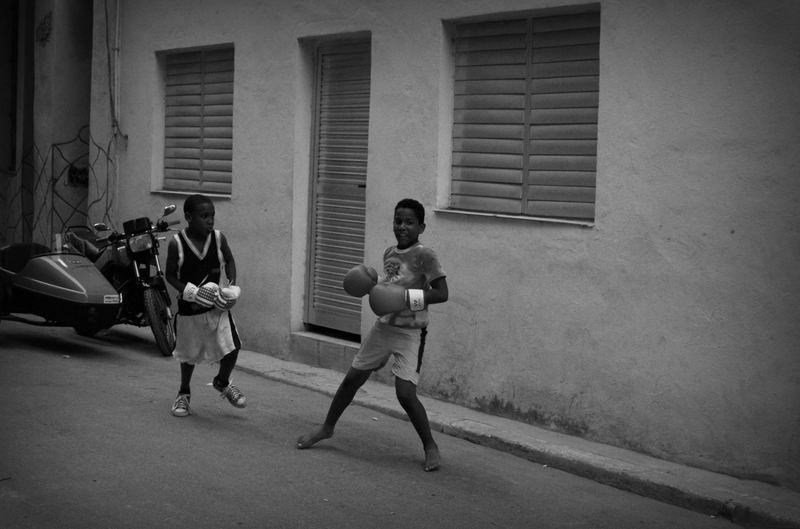 Your photos are beautiful – you’ve really captured the essence of the street life. I’m a wordpress photographer too – congrats on being freshly pressed! 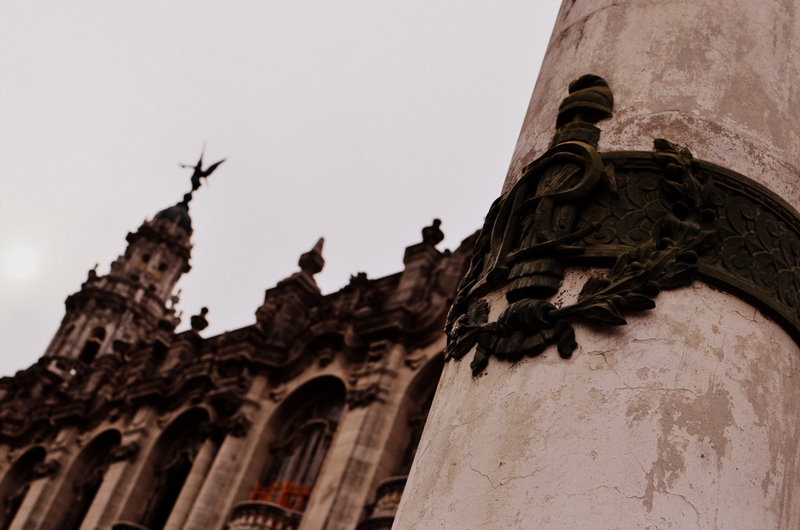 You found out La Habana is very real! I enjoy being there – a tiny bit – as a viewer, still unreal but very good for the eyes. When you spoke about the diesel engine smoke, I remembered 1960s Mexico City, it was horrible. But I wouldn’t have passed on that trip for anything. I was a kid and it sparked that urge to wander and see what’s out there. I’m pretty well travelled, but never been to Cuba. Thanks for sharing. My dad would be in car heaven! But let’s not forget it’s a dictatorship. I subscribe to your overall philosophy of travel. I insist on experiencing the real culture rather than staying in the all-inclusive resort bubble. As a Cuban-American, though, my feelings about this post are very conflicted. While I completely understand why most tourists in Cuba are charmed by the architecturally beautiful yet dilapidated buildings and the overall sense of being in a time warp, I tend to resent it. 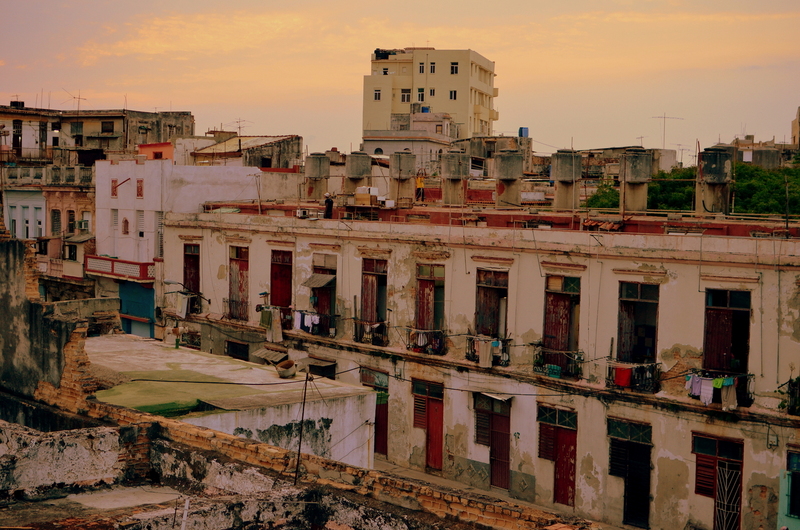 Some see Cuba as a magical place untouched by capitalism, but many Cubans simply feel left behind. Stroll around almost any place in Europe. The old buildings are still there, preserved and in use. They’re also not falling apart. Being spared from McDonald’s is nothing to cheer about when it means being bludgeoned by Communism instead. When my relatives see images of Cuba today, they see destruction. They see the cinemas they used to go to and the sidewalks they used to walk every day — all now in ruins. They see loss. That’s why it’s always hard for me when North Americans and Europeans romanticize certain things about Cuba that represent hardship and repression for so many Cubans. I’m always hyper-conscious of this in my own travels. 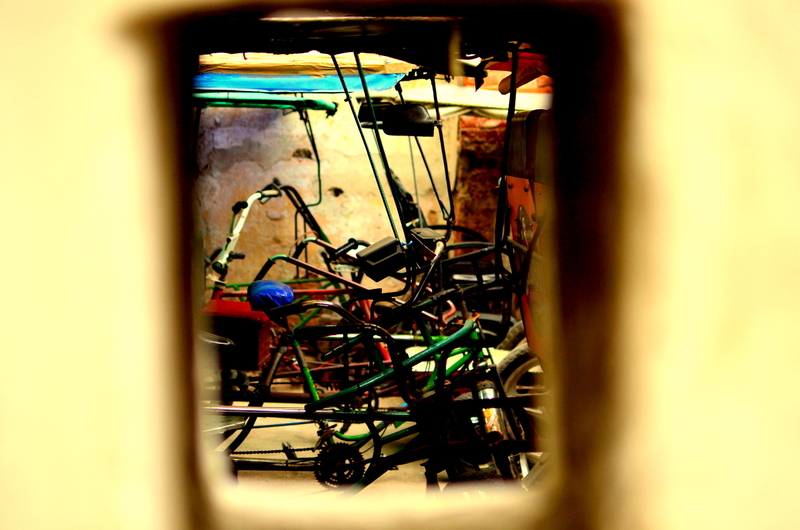 I worry about seeing beauty in poverty, about trying to take pretty photos of something broken. Still, I’ve certainly been guilty of it. Cubans seem like happy people because it’s in our character. I think that most Caribbean cultures try to take a bad situation, write an upbeat song about it, and dance to it on the streets. That doesn’t mean that Cubans live free from first world wants and desires. All of my cousins in Cuba know exactly who Tommy Hilfiger is. They may not have access to brand-name products, but they want them. I also find it hard to constantly hear from Americans and others about Cuba’s “great” free healthcare system. I wish that the U.S. had universal healthcare — the kind that I used while working in France, which charged me a mere 70 euros for a root canal procedure in a hygienic dentist’s office, not the kind in Cuba that gives my mother’s aunt welts on her skin because the needle used for her injection has been reused so many times that it’s no longer sharp. As for the U.S. embargo, I’m against it because it has proven ineffective and simply allows the Cuban government to play victim. 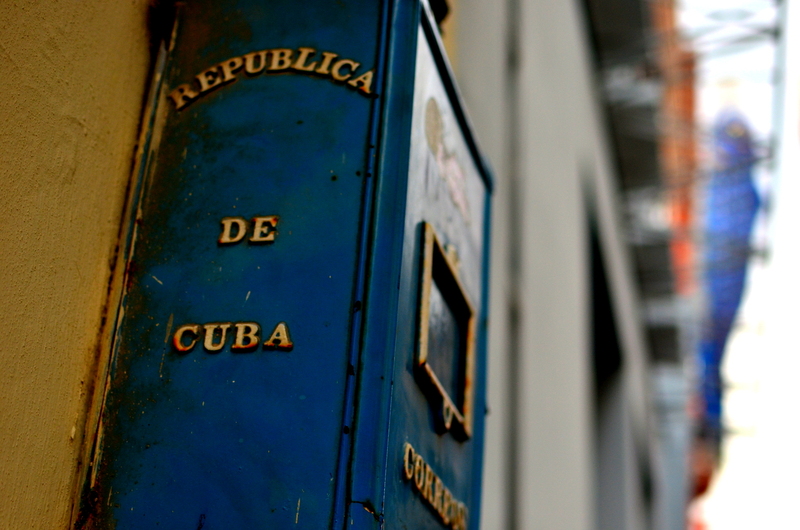 But the embargo is not to blame for Cuba’s troubles. If milk is only rationed to children until the age of 7, it’s not because Cuba has too few cows. In the end, what always gets lost in all these political discussions is the principal thing — the lack of freedom in Cuba. Yes, there is plenty of poverty. But the reason my parents left isn’t because they couldn’t bear not owning a house. It’s because they couldn’t bear not being allowed to express an opinion without fear of reprisal. All that said, I did enjoy reading about your impressions of Havana. You present an overall balanced depiction and paint a vivid picture of the city. 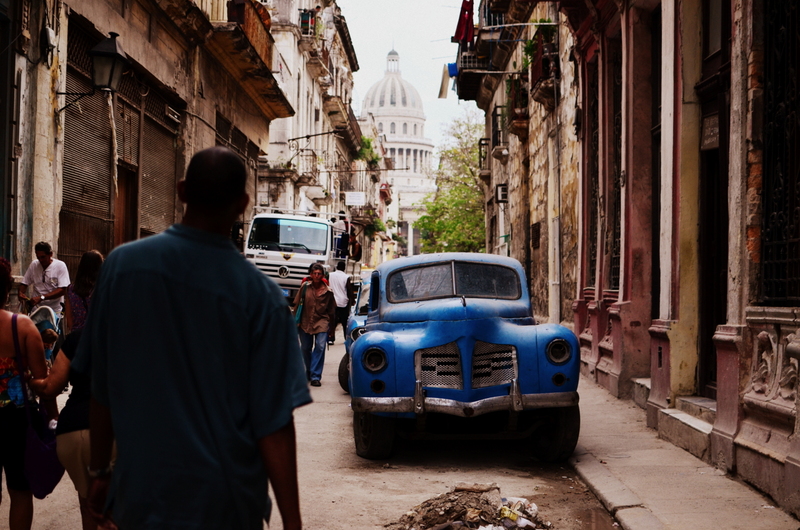 If it weren’t for my background, I would probably see Cuba in the same way that most in this comments thread do, so I wanted to chime in with a Cuban-American perspective. Thanks for your thoughtful comment Melissa. Your comment is the first one I going to respond to because it is the most important one to me. I only had a few minutes to skim through the messages earlier and I walked around Nicaragua with it in my head for a few hours and I couldn’t stop thinking about it. I would like to take the time to let you know that I only spent 12 days in Cuba and loved it from a travelers perspective. The architecture, the colors, the culture, and of course the cars all captivated my visual senses and took them on a roller coaster ride when I first stepped into the city. 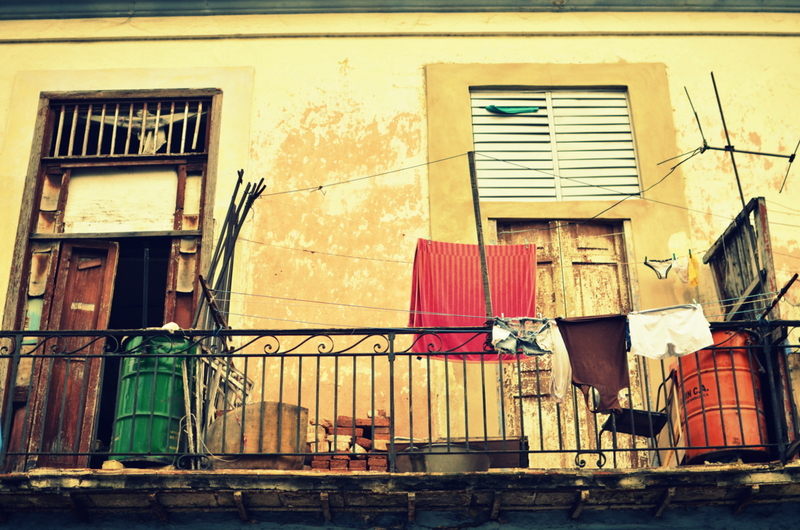 As time passed on in Cuba the reality of things set in more and more, especially when we talked with families and older Cubans about how a life there really was. It would be a ridiculous expectation to be able to understand the complex reality behind the scenes of this country with only a 12 day stint equipped with a slowly growing Spanish tongue (I’m learning, poco a poco). When I go someplace I try and understand it as best as possible, let it fester in my head for a little while, and see what kind of perspective develops. After reading your comment I felt a little guilty of using the visual stimulation of the city and it’s everyday routines to produce images and a story of an outsider looking in to a very unique place in the world. I admit I am a tourist. I completely understand the sentiments that elders have about how things are and it is a truly sad state of affairs when people can’t voice their own opinions without risk of being incarcerated, or even self-exiled (as many of Cuban’s more famous writers have done to themselves, as your parents left too). 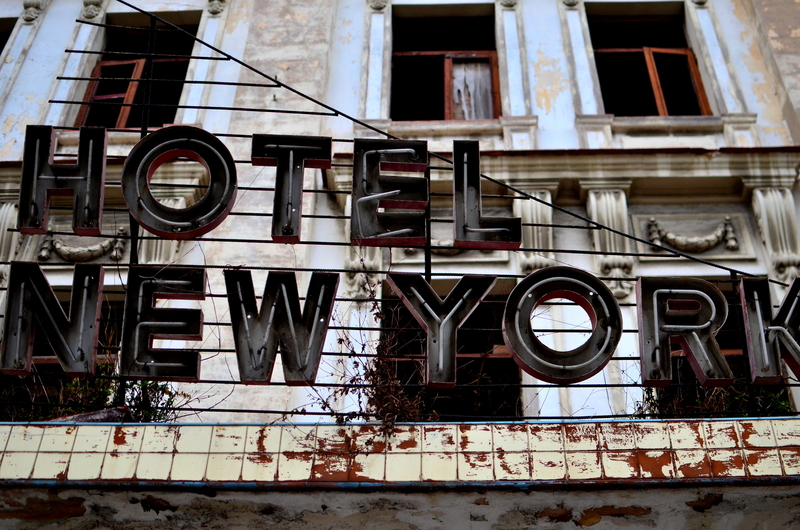 The sad state of affairs of the crumbling city is a story to be told in itself. The perspective I received was that when buildings become unlivable they are sometimes transformed via historical preservation to turn some sort of profit from tourism. The Cuban/American history is a very dicey one. 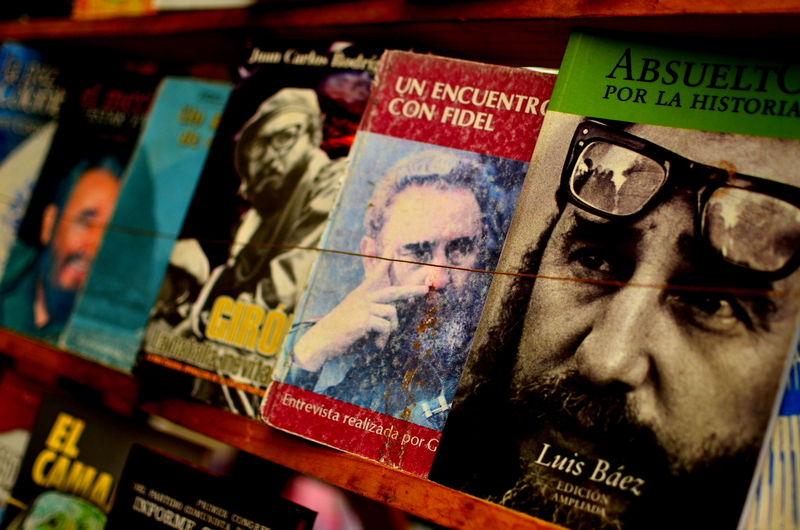 The juxtaposition between Fidel’s original 20-something idealistic reforms and the lifestyle he adopted is very contradictory. When a dictator of a country lives an unrealistically luxurious lifestyle while giving bare minimum rations for everyone to live on it is a wonder how people can still believe in his cause. 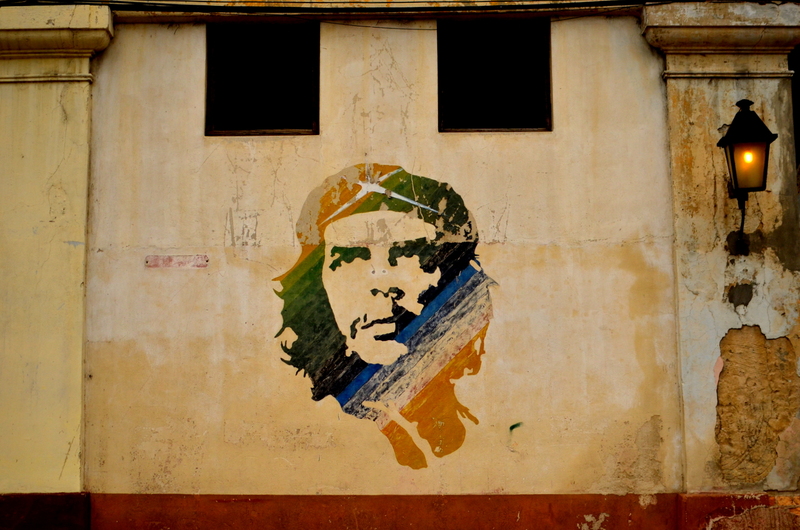 The way I planned on writing about my trip to Cuba was in a 3 part series. 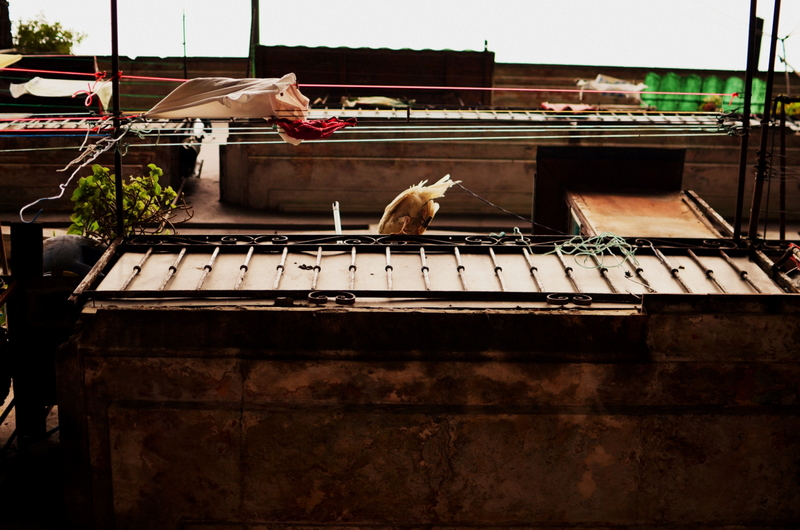 As more time was spent in Cuba more things became visible in the cloudy, dusty light of the city. Cuba has a lot more to offer than just Habana, clearly, and there seems to be a huge neighborly bond when the towns get smaller and smaller. I understand that Cuban’s have it engrained in their being to take something that is bad, that they can’t change and make it livable with their personalities, patience, and humor not because they want to, but because there is really no other way to see it. I will truly never know the strange reality of that as a visitor, and I don’t think anyone really will unless they are from there. When we returned back to Habana and ventured into the war museum to see what history looked like through Fidel’s eyes we were pretty shocked. One thing we noticed was that pictures seemed to be dated back to about the 70’s/80’s, when things were shaky because of the cold war but when things were still optimistic for a better tomorrow. Then the information seemed to stop dead in it’s tracks when the economy really took a turn for the worse. My perspective was also influenced by the family we stayed with, some of the most genuinely nice people I have ever had the pleasure of talking with. They are part of a lucky few who had a home nice enough to rent out rooms to generate real income that so few can tap into. 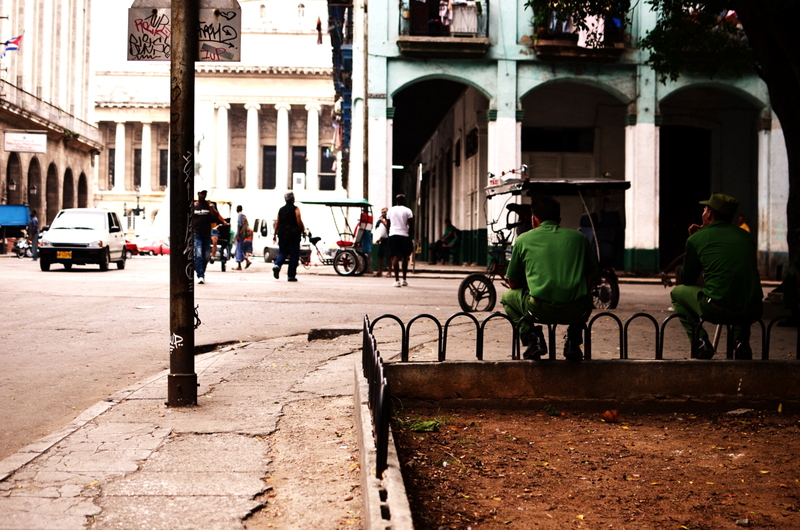 My last post in the Cuba series reflects more of an overall view of the country, I think, and is more than just a wide-eyed wanderlust view of one of the most unique places I have ever been to (which was the theme of this post). I am honestly a little surprised/perturbed that this one was freshly pressed because I don’t want to put out the image of the average visitor to Cuba in love with a filtered view on the bigger picture. Thanks again for the comment, they are always welcome and appreciated. Thanks for the reply, Dan, and for reflecting on my post. You shouldn’t feel guilty. After all, as travelers, we can only do our best to understand a place and culture, to come away from it a bit more enlightened than we entered. No one can be expected to grasp the full historical context and all the emotional baggage of a place over the course of a single trip. Besides, traveling to a country in political and/or economic turmoil is always ethically problematic, particularly for travelers from rich and prosperous countries. No matter how well-intentioned we are, it’s always a tricky tightrope to walk. 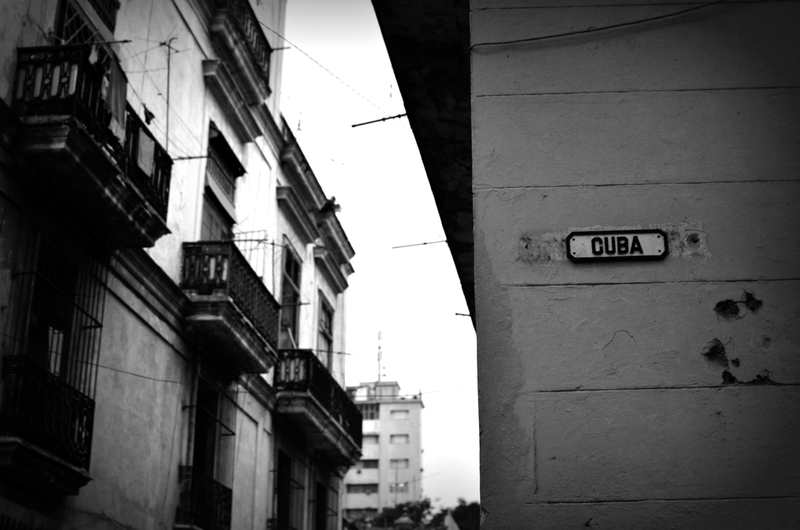 I intend to visit Cuba someday, but it’s complicated because my parents have never returned. 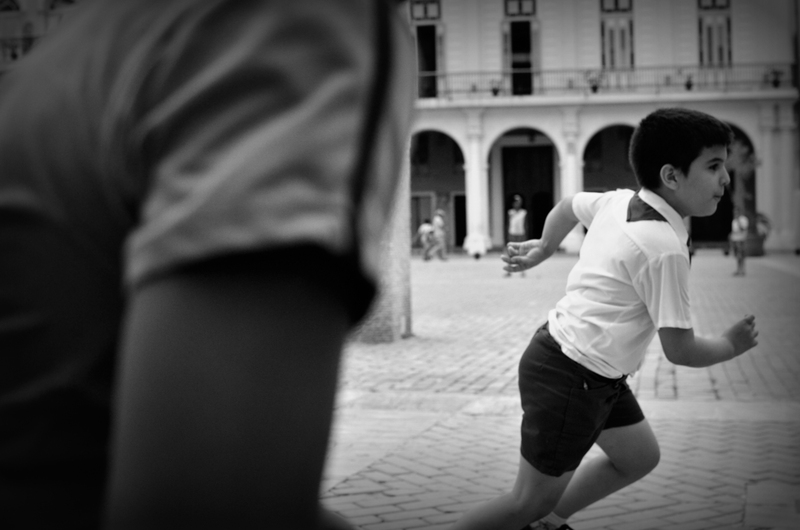 They left the country at a time when the Cuban government wouldn’t allow them back. Even today, they would have to request a visa from the Cuban government to visit their own country, as though they were foreigners. Recently, my mother’s cousin, who lives in Cuba, encouraged me to visit. I explained that, while I’d like to, it would be strange to go without either of my parents because I know and understand Cuba through their eyes. What most Cubans on the island call “la plaza de la revolucion,” I call “la plaza civica,” which was its name before Castro took over. My brother and I jokingly correct our Cuban relatives who visit Miami — “It’s la plaza civica! Fidel didn’t build it, you know?” When I expressed my conflicted feelings about visiting Cuba on my own, my mother’s cousin suggested that I simply go with a tourist’s mentality, not understanding that I CAN’T be a tourist in Cuba, that it’s too personal. In the end, you’ve actually been there and observed it for yourself, which I have yet to do. Are you still planning to post the other parts of your Cuba series? I’d love to read them but couldn’t find them on the blog. The photos are very lovely. I’d love to return to the country of my birth someday when such romanticism of poverty, communism, and lack of freedom are a thing of the past. Love it! I am half Cuban. I went to visit back in 1988 when I was 13 years old. It changed my life. I have plans to go back soon with my dad, so we can deliver my brother’s ashes to his mom in Cuba. This is the beauty of my home. Your home is beautiful. Thanks for the reblog. More Cuba to come soon. Wonderful post. I was a child when my family and I emigrated from Cuba over 30 years ago… and I have never been back. Your beautiful photos have brought back many bittersweet memories of my native city. Thank you! Beautiful pictures. Oh, one day… I’ve heard such wonderful stories of this beautiful, misunderstood and isolated country. Thank you for sharing. It seems like a dream come true. Absolutely amazing pictures! Sounds like the chance of a a lifetime : ). Your photos are absolutely gorgeous!!! I want to visit SOOOO BAD! 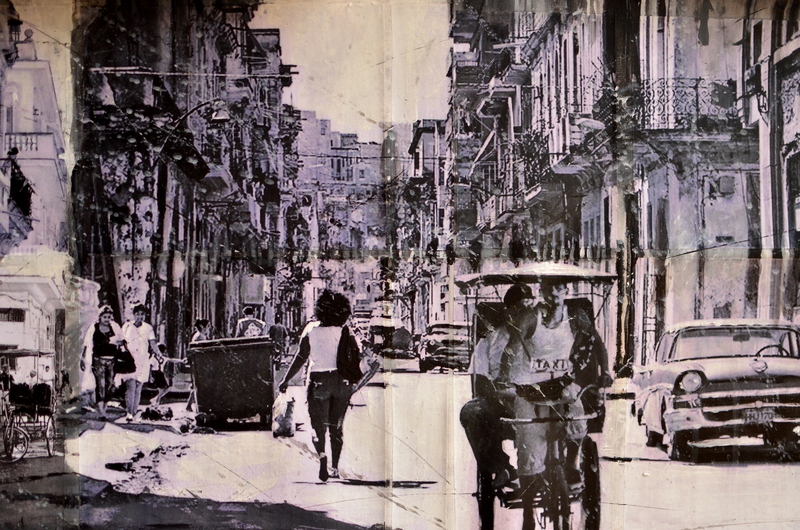 Gorgeous pictures, I’m off to Havana in December, now I can’t wait – thanks for this!! FOUND IT BY ACCIDENT…I HAVE A NOVEL I SET THERE…AND I WOULD LIKE TO SHARE IT WITH YOU. 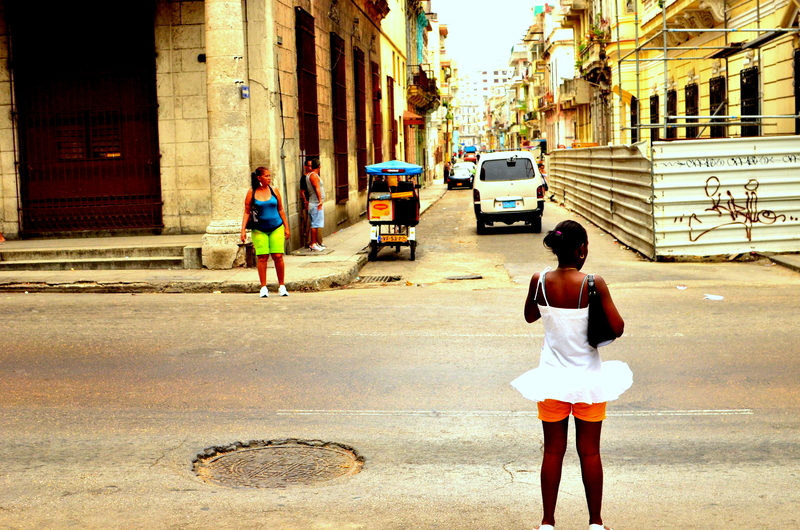 OBVIOUSLY, I WAS MOVED BY YOUR SIGHTS AND SOUNDS & THE RHYTHMS YOU SHARED OF CUBA. IF YOU ARE INTERESTED IN LENDING SOME OF THE ART WORK; TO THE PROJECT DOWN THE ROAD. Yes, I am reblogging. But if you like to read a thoughtful blog and to see some outstanding pictures, this is one that I thought worth sharing. Thank you, Mr. Zoomer, for the reblog and the kind words as well. Comments and reblogs are always welcome here. My American born friend, who lives in the U.S., went to Cube thru Mexico. A couple of years later she was at customs in the U.S. coming back from Europe. Her passport had something on it that alerted the immigration officer she had been to Cuba. There was no stamp that she had gone to Cube but it was something nondescript that you would not know it meant she went to Cuba. Officer asked her if she had been to Cuba and if she wanted to renounce her US citizenship. She had a hard time getting back into US and had to hire an immigration lawyer. She also had to pay a hefty fine. They treated her as if she was a terrorist. It was very scary for her. Nonetheless, I LOVE your photos and would like to visit Cuba. That sounds terrible. If you follow some simple instructions they won’t put anything in your passport. I’ve heard there is a little symbol, such as a boat or a small house, that they can put in your passport, thus creating the issue you were referring to. Fantastic! Many of the car modifications I see in the pictures are “Made in America” parts manufactured in the 70’s and 80’s. I enjoy the stories of how owners find all the pieces to put classic cars together. You have created a vision of two boats meeting somewhere in the Caribbean, a box of Ramone Allones passes one direction, a set of US Mags passes the other. The red and white Victoria convertible with the continental kit is the stuff of dreams. Brilliant. 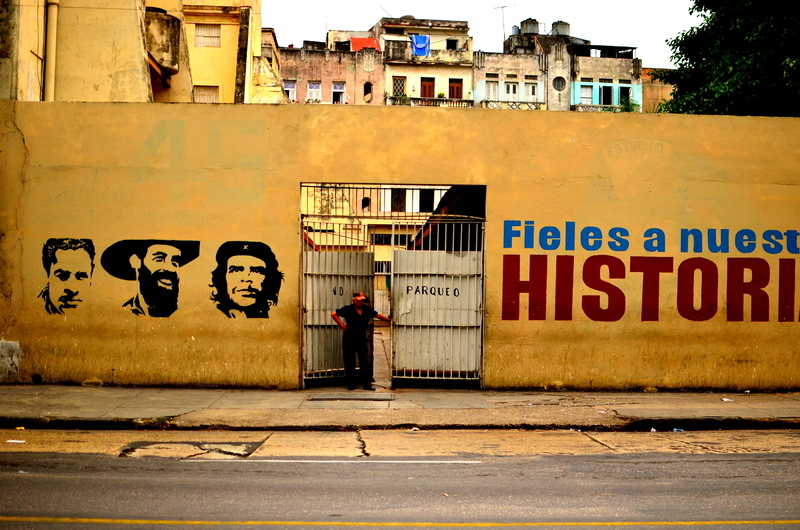 Took me straight there…and I so want to go and see the real Habana. However with a 6 year old daughter we may have missed our opportunity to see such a real side. I worry a little about safety too. Maybe we will visit for a few days there when we are on a beach holiday (we are from the UK so entry is not an issue). Thanks so much for a fab insight. Regardless of how Cuba looks through the lens of a camera it is one of the safest destinations you could possibly find yourself in. Being a country led by a dictator, the laws are very dire for Cubans that get into conflicts with tourists so crime is almost virtually non-existent. I saw plenty of families with young children during our stay there and I don’t think you would regret it. great pictures and good read. Great photos, full of nostalgia. 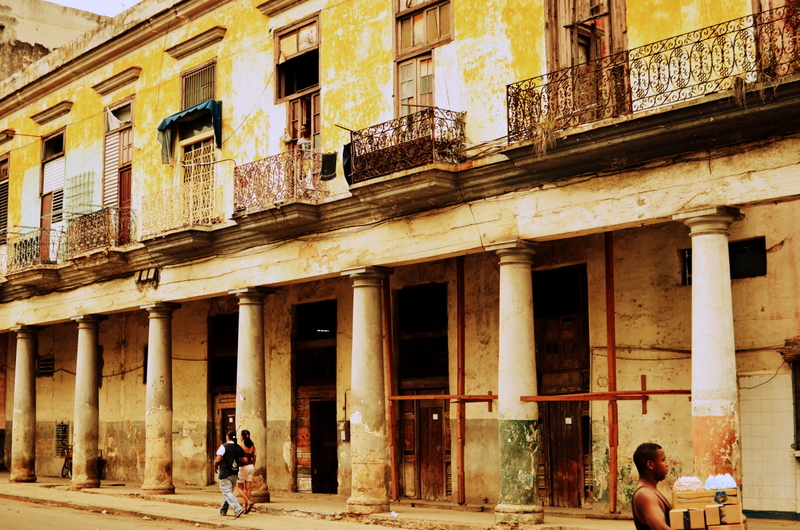 I visited Cuba four years ago and your photos of Havana brought back memories. I loved wandering around the cities and towns. Enjoy your travels! 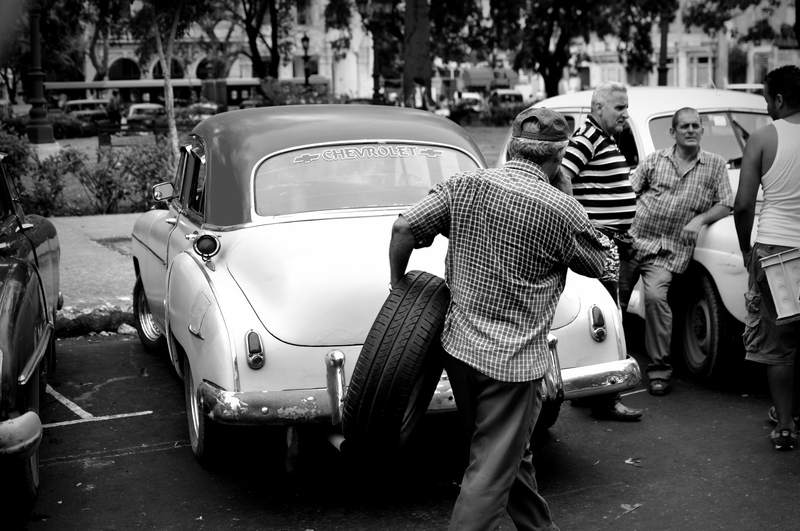 PS – You’ll find the old cars in Uruguay as well. Brilliant photo-essay! I am totally and completely inspired by your journey in Cuba – Havana is very close to my heart. You are an exceptional photographer and I hope you continue to share your inspiration with your readers (like myself!). Muchas gracias for the kind words and for stopping in. We have a long way to go yet and hope to keep the journey going for as long as possible. 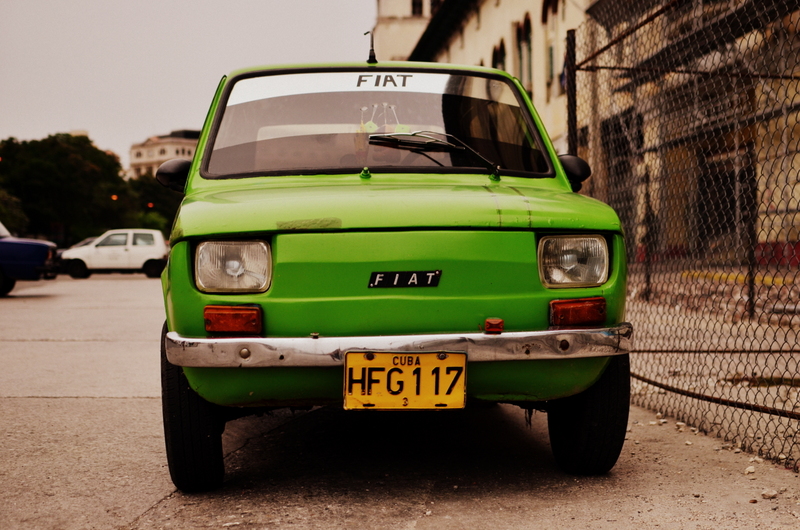 Very nice reminder of Habana. Going again in 2 months to marry mi Cubana. A beautiful bundle of photos and great words to go with. 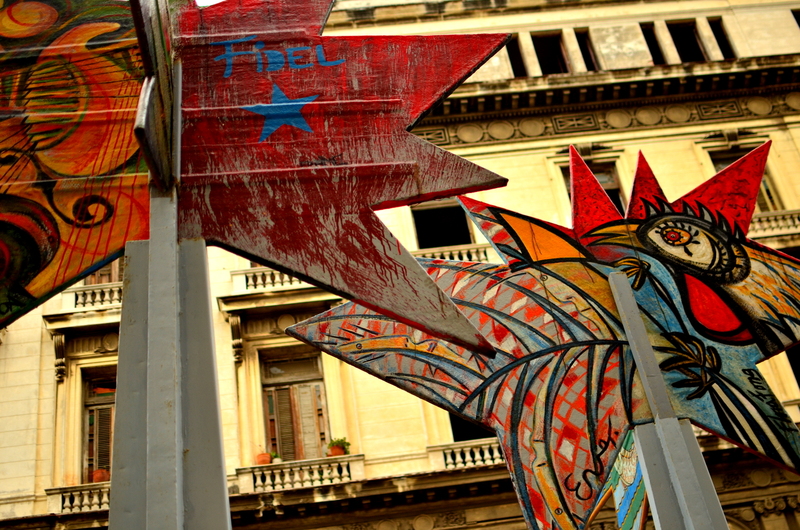 Socialism has really done a job on Cuba…and don’t blame it on the embargo. America will end up the same way if the socialist friends of Castro here in America have their way. California and New York on on their way…dismal. But in the end, every little thing will be alright. Like Dan said: these people have learned patience. Alpha, omega, beginning, end. It will all be ok, and everything has a purpose. What wonderful photos! 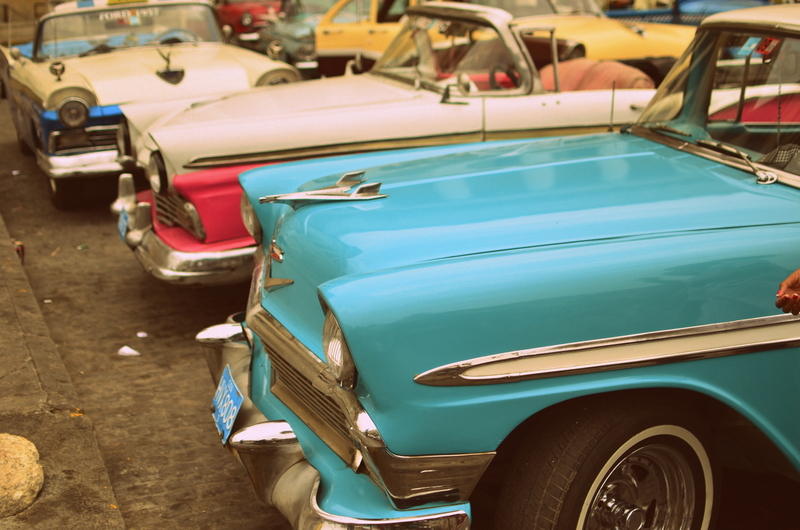 I’ve always wanted to visit Cuba – maybe one day! What incredible pictures! Pure visual poetry. Beautiful photos! I’ve never even been there, but just from viewing these, I feel like I understand the essence of the town! That is really quite beautiful. 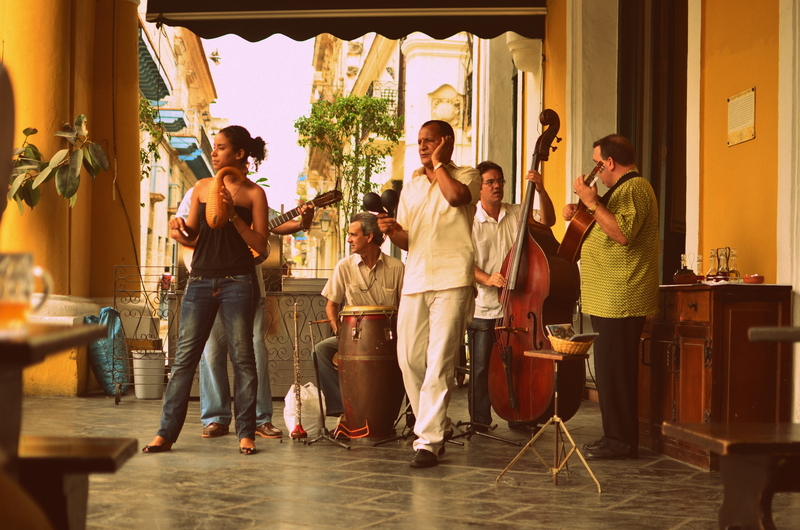 A trip to Cuba has been a dream of mine for years to hear their fabulous musicians up close. Your post and photos gave me the tour I never could have imagined. Muchisimas gracias. Wonderful photos, but depressing. Is there any part of that country that isn’t run down? Really great job with the pictures. It made me feel a little frustrated that I’m not going too. I lived in Indonesia for a few years and sometimes feel the difficulty of that time beat the travel bug out of me, but your post fired it up again. I agree with your travel stance too – see it for yourself. I feel sad for those whose reaction to this post is to start spouting political pomposity. All the wonder of the world is gone for them. Beautiful photos. You have a good eye. I hope you keep traveling and expanding your world. I have to show my mom your site. She and my gram when to Cuba before it was against the law. They told me all about it and I have always wanted to go there before I die! Made it to Mexico before it was a war zone. Great post, love the pictures! Thanks for the comment! Please pass it along to them. As far as Mexico goes, don’t believe what you read in the newspaper and see on TV. We spent 2 1/2 months in Mexico (check the Mexico section of my blog) and had nothing but a great time there without any issues of safety whatsoever. It isn’t a war zone like it’s portrayed in the media. There is violence and drug related casualties but for the majority they are real people living real lives without guns and weapons, just like you and I. Thanks for stopping in! Cool post. Great photos and tales of your journey. 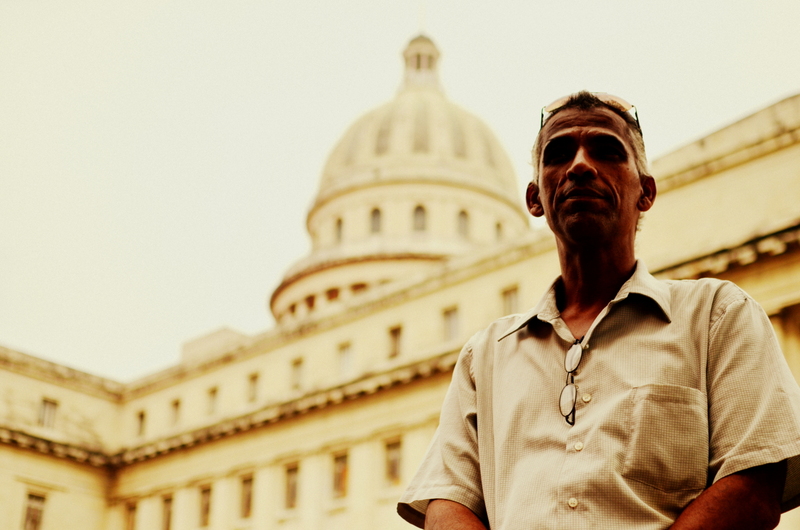 The embargo has done enormous damage to the Cuban people. The U.S. has staged terrorist attacks against Cuba in addition to a direct military assault (Bay of Pigs). 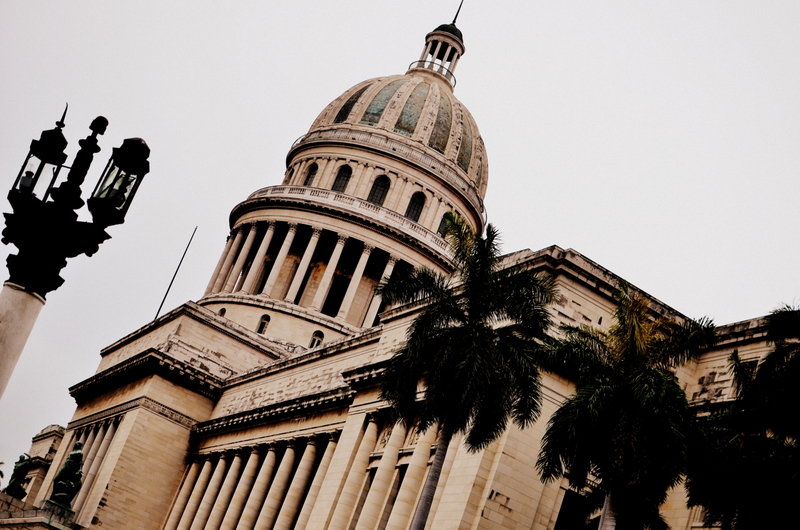 The U.S. continues its attempt to subvert, undermine and overthrow the Cuban government. Cuba withstands the hostility of the most powerful empire the world has ever known and still has managed to guarantee housing, food, healthcare and education to its people. 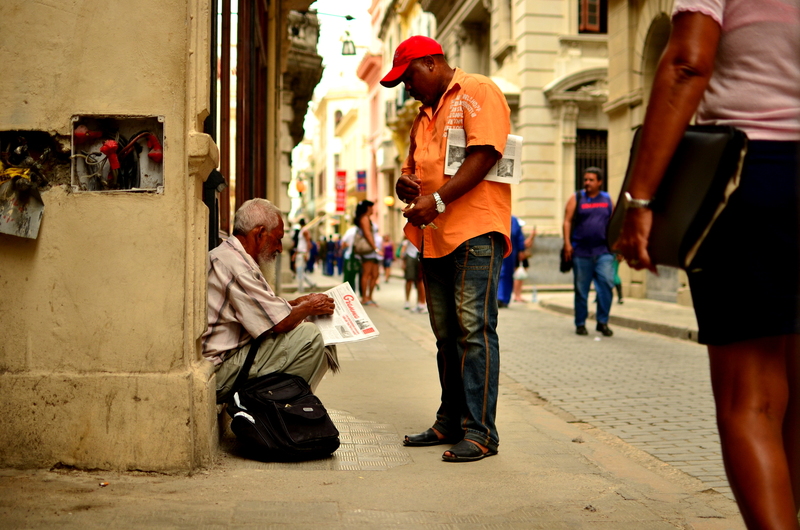 Homelessness does not exist in Cuba! Healthcare is provided free of charge! What the U.S. fears and hates most about Cuba is the threat of a good example; successful defiance of the global Godfather. Are you by any chance Venezuelan Chavista? 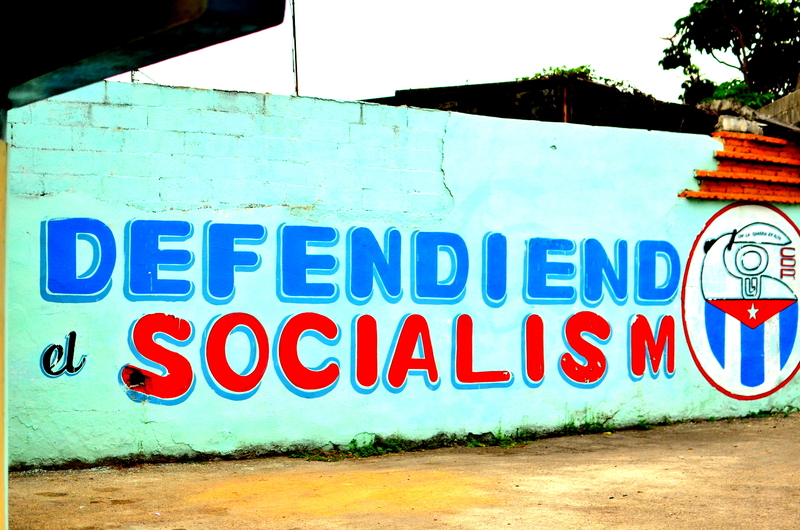 at least you talk with the same words they do here in cubazuela. Go ahead and live there as a regular citizen. I don’t know you but I know that I really don’t care for you. I hope you find whatever it is you are looking for in life because you seem horrible at the moment. I would love to go to Cuba one day 🙂 great post! I have always wanted to travel to Cuba, and your post has only motivated me further! These are some beautiful photos, thanks for sharing, I’ll be following your blog! I come from halfway across the world and to visit Cuba is on the bucket list. These lovely photos would do for now. Thank you for sharing! Thanks for the reblog and the extra exposure. Glad you enjoyed my work. i am so in love with these images and your writing. great pictures and an even better told story. thanks for sharing! This is just amazing! Well done and so beautiful. I just discovered your blog and I absolutely love it! Thank you for all the wonderful ideas! 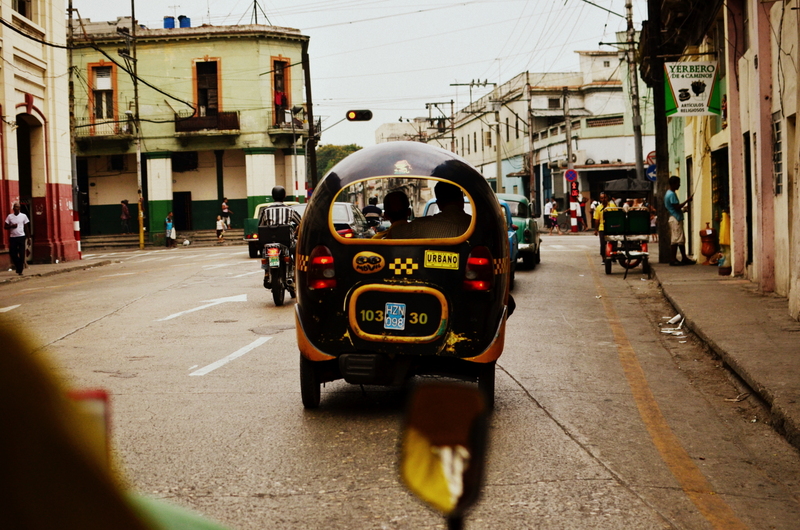 Can you believe I accidentally wiped all of my hundreds of photos from Cuba because I’m a tech ‘tard? Thankfully, I loaded some on Facebook, but the rest???? Bum. Your images reminded me what a magic place it is….and what an idiot I am!! Amazing story, great photos. You are a very good writer, I felt like I was actually there. Thank you for your somewhat ‘suspenseful’ story. Really soulful post accompanied by some amazing photography. Thanks for sharing! Outstanding. One of the best blogs I’ve read in a while. I’ll be visiting again…. Beautiful, beautiful photos and what a story! I would have probably lost my mind facing those intimidating eyes. I assume you’re not a holder of both Polish and American passports, as I’m fairly sure there would be nothing illegal about a Pole in Cuba? Anyway, thanks for sharing, well deserved Freshly Pressed! Your pictures are gorgeous. It feels like traveling through time. Wow those pictures are beautiful! Thank you very much for the kind words and for the reblog. I’m glad you enjoyed it. I’m actually on my way to Cuba right now. Thanks for getting me even more excited with the photos! Thank you for stopping by and for the reblog, of course. 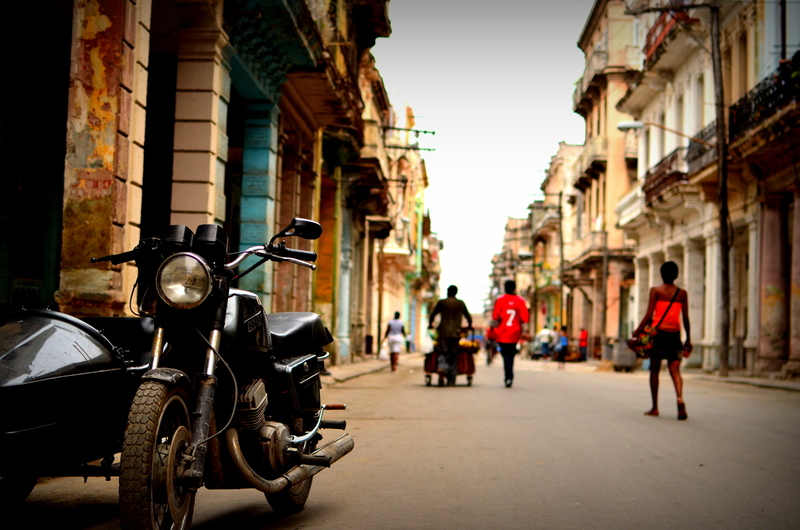 I was born in Cuba with no memory of it…I thoroughly enjoy looking at the pictures over and over. Nice job! 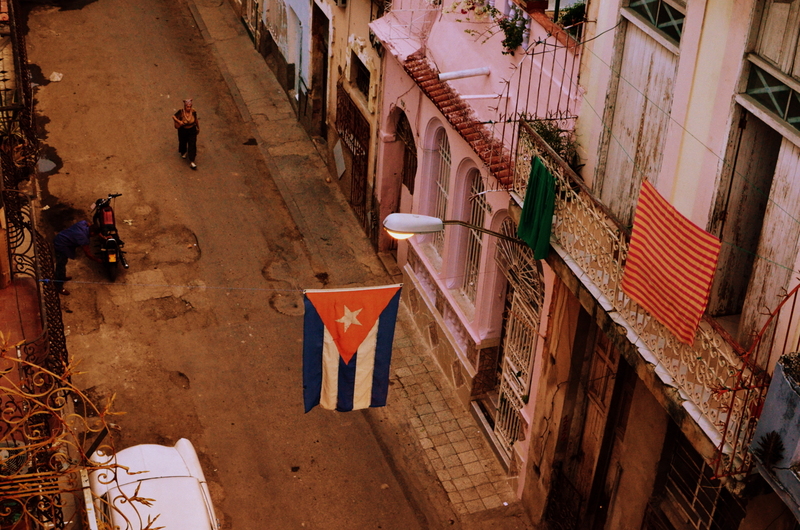 A lovely post on Cuba. Wou, amazing! That’s a sweet way to show decadence. GREAT!!! Amazing Photos! Cuba is one of list to visit this coming August. I am currently in Chile and next week in Peru and continue my journey until I get to Cuba in August. Congrats being freshly pressed. Very nice collection and I really enjoyed your blog. A couple of days ago I wrote some comments on the jail island and it seems you censored it as I dont see it published. It looks to me you are a pro cuban regime as you only published people writing in favor of such a despicable dictatorship.I can bet you belong to the democratic party in USA by all means like for example Sean Penn who lives in Beverly Hills but loves to visit Castro and Chavez all the times.I would like them to live for a whole month with a cuban salary of $25 dollars.Well the whole world is full of communist who for some reason prefer to live in free and capitalist countries and not in the communist paradise. I am definitely not a pro cuban regime, as you kindly referred to me, and I am not agreeing with the likes of Sean Penn being friends with these dictators. It is dispicable the contradictory ways in which the ruler lives in the country where nobody has the liberty to say what they feel or speak against a government that gives them no choice. I am a tourist by definition. I am traveling outside of my country to see things first hand for myself. If I did not, I would have a point of view from someone else, which is no way to go through life, young man. We did our best to put our money directly into the hands of Cubans, because we knew and could see exactly how crazy life is under the crazy circumstances that is a reality for them. We did not spend a dime at any luxory hotel. In fact, the idea of spending 10 times the amount of money an average Cuban makes in a month for a nights rest is absolutely bonkers. We ate at as many family run comedors as possible, ate as many meal at our casa particulares, only exchanged money for tours with locals (non state run), and only ate less than one handful of times at state run restaraunts when we were stuck without other options. This post clearly rubbed you the wrong way and was intended to convey what it was like as a tourist being in Habana for the very first time. I am writing 2 other posts on the subject where thoughts and ideas formulated give more of a balanced view. I didnt publish your first comment because it was full of political connotations and general hate. I am not a fan of negative energy. I understand that everyone has different perspectives. It would be absolutely impossible for a tourist to try and live in Cuba for 25 bucks a month because we technically cant spend Cuban pesos anywhere. So the statement of you try to live there on that money can never be attempted or applied. The hope I have is a better future for Cuba, that it can evolve in a different path where freedoms are a right, not a fairytale. I absolutely love Cuba. Your post was great and pictures are superb! I’ve always wanted to go there and seeing you breathtaking pictures has made me think that i really should do it know… Amazing post!!! I’ve never been in Cuba but I just read “Nuestros años verde olivo” (Roberto Ampuero) and I must say that your pictures are a very good graphic description for Ampuero’s autobiographical book. Peace. 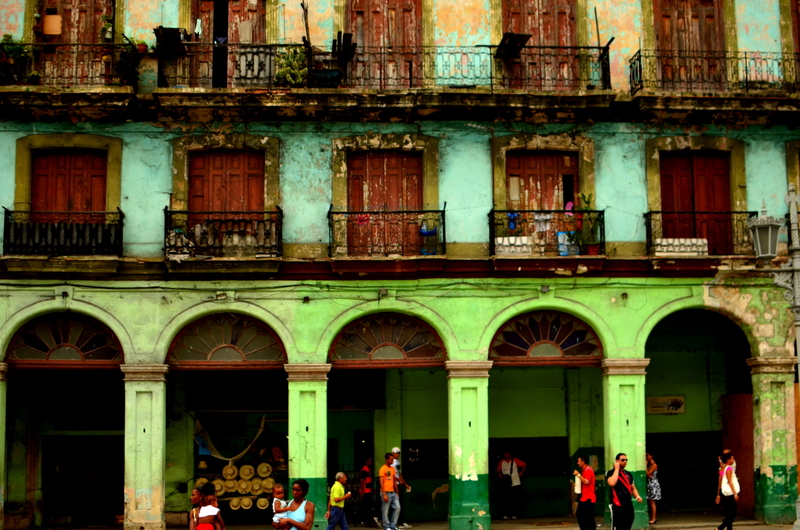 Your photographs of Havana are truly beautiful and inspiring. I’ve actually been trying my hand at photography, but have felt the fire dying out; your photos reminded me why I got into it in the first place. Keep ’em coming! Beautiful photos and commentary. I suddenly have an urgent desire to see Cuba. there’s a china town in cuba? surprising, indeed. i hope you have it in your pics. All pics are very interesting, you captured both daily life and architectural details and colours at the same time. in a nutshell, i love them all! These photographs are really amazing, so full of life and just wonderful! A wonderful post… Cuba is it itself a whole book, and you manage to paint a big smile on my face reading just a couple of pages… Thanks! Super post! 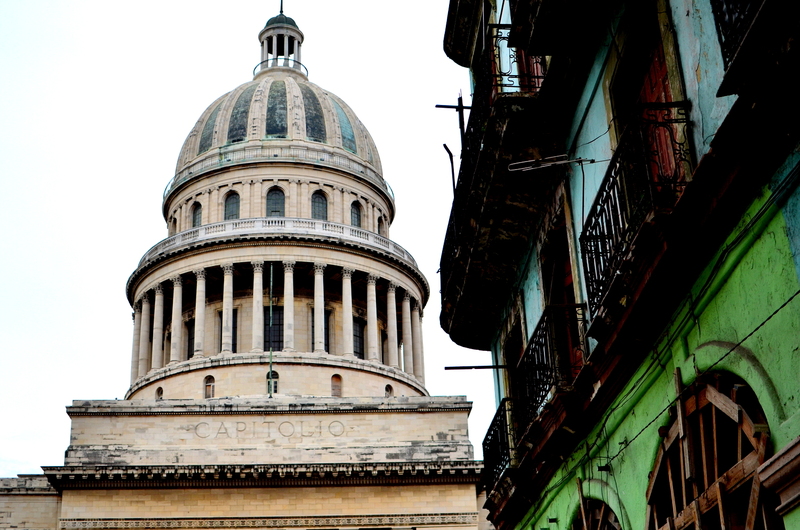 Thanks for sharing such great info and pictures of Cuba! 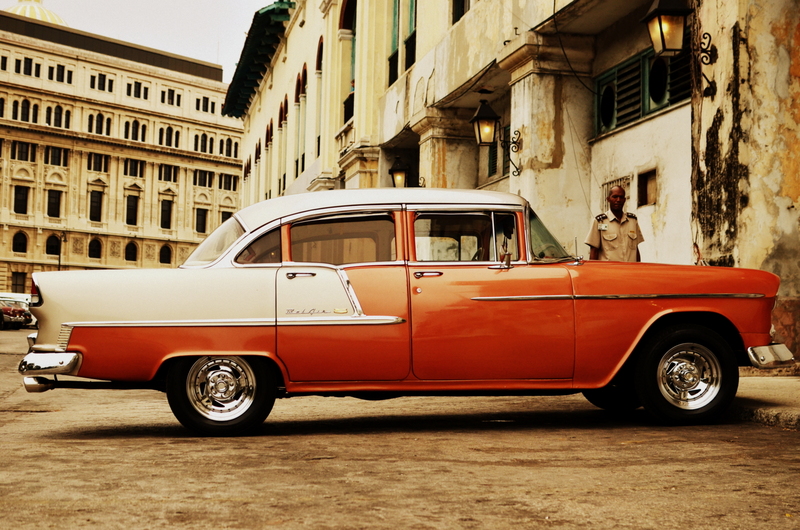 WOW, your photos are so beautiful…I want to hop onto the next plane to Cuba now!!! Great story and photos. Looks like one of those places where there’s a photo op everywhere you look. Really beautiful photos. Lovely photographs! Thanks for sharing! But back to your blog and me a week ago. I was captivated, mesmerized, deeply touched. But I couldn’t find the words to leave a comment, and I have a lot of words, I am a writer. I stayed late into the night, it was already late when I arrived, and I had to leave without commenting. But I was drawn back the next night, and every night since to tonight. Each night I have dined on your words, drank in your photos, and via your videos, wrapped myself with the music, the dance, the people, the Cuban culture. I have feasted at your table, and I found my word. It is Feast. Your blog is a feast. Thank you. The first word that came to mind after reading your comment was simply “wow”. Thank you very much for those touching words. It’s very encouraging to read them and let them play with my thoughts about writing, traveling, and photography. I’m very glad I have a new fan and it is inspiring to me to hear that something I produced can have that affect on another person. This is the first time my words have been connected to eating as well, I rather enjoyed that. Thank you very much for commenting and for the suggestion/referral as well. Nice photographic overview – I like your photo choices portraying a city’s city. After visiting Cuba a few months back I’ve got that feeling I have to return again after reading this! Great shots! 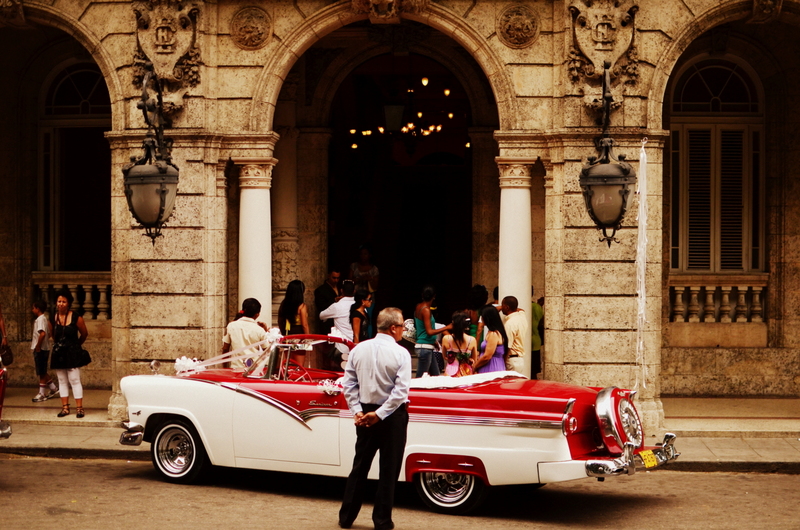 I have been obsessed with the idea of visiting Cuba ever since I watched Dirty Dancing: Havana Nights. This was almost six years ago. 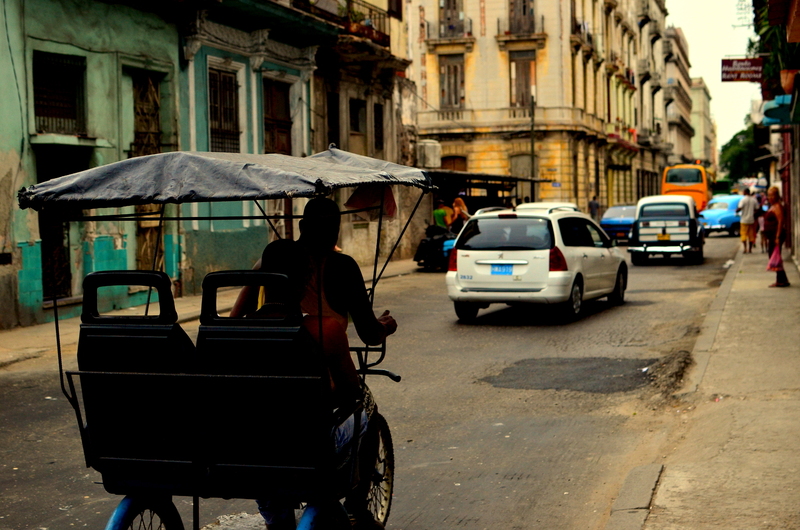 Your vivid pictures, and description of Habana sparked an old flame within me. I cannot wait for more of your travel stories and pictures! 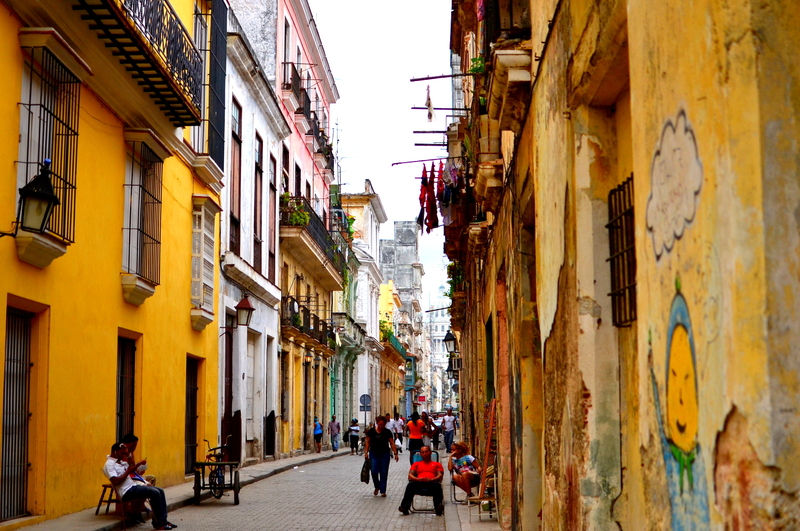 Your photos are so colorful, which is part of the real Cuba – it is in fact, very colorful. Thanks for sharing! It brought back memories! Byliście na Kubie ? Przeczytajcie. Super tekst i śliczne zdjęcia. Warto. Wow. This post is incredible and I absolutely love the photographs. So glad I discovered this site, I feel inspired! I’m currently living in Vietnam and will travel to China and Australia over the next couple of months. Next on my list is South America and your site has really sealed the deal on that. Hey! Thanks for the comment! I checked out your blog and think it’s great that your teaching English over there! That’s something I’ve always wanted to do, and it’s definitely on the radar. Vietnam sounds like a great place to make that happen, as you mentioned cost of living is quite low and the hourly wage is very good considering. Thanks for following! I have never found a more resourceful, intelligent, kind people in my travels. I see how you named your hosts your new parents. That’s exactly the way it is. Thank you for sharing your experiences as an American. 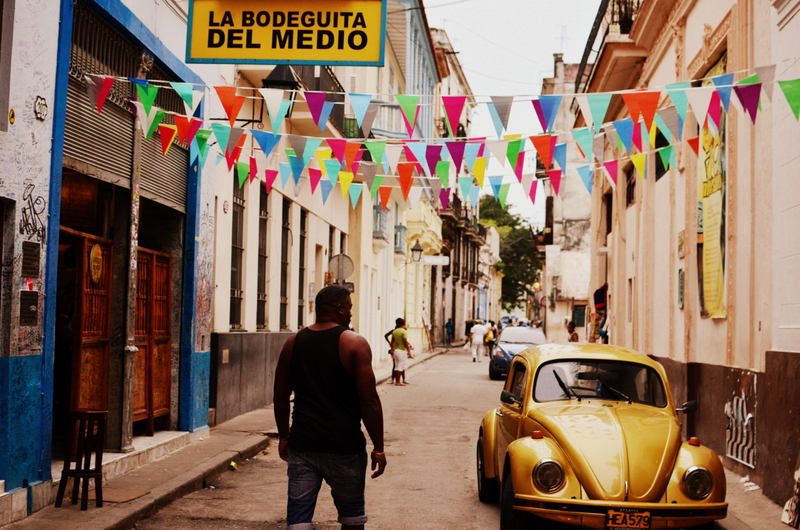 Cubans don’t hate Americans as it is widely misinformed. They love all people who are interested in their history, culture, and struggle as a people. First of all, I’m Canadian so I’m not sure how Americans enter Cuba but I’ve been told that it is the same as Canadians. I know your passport is required and instead if stamping it, they give you a 2 part traveller visa. 1 part to enter and you keep the 2nd part to leave. I’m speaking mainly to your question of traveling solo in Cuba. I have travelled solo and in groups. 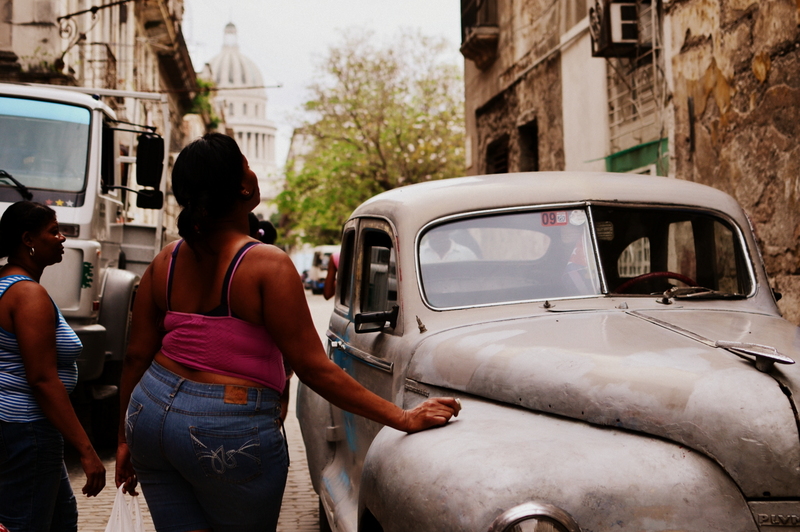 Cuba is a very safe place for women traveling alone. I have made several trips in the past and have found it very comfortable. As traveling anywhere, be aware of your surroundings and you’ll be fine. Cubans are a gentle, loving community of many. I travel to Santa Lucia, Camaguey province. I have made many friends there through the years. I also have other friends that travel alone there. If you would like more info, feel free to contact me. Cuba is my second home and I wish you all the joy that I have found there. It is an unforgettable place and people. Just found your post. Very well done…photos and writing, and wit, and humor. I was going to go to Hawaii this summer, but then thought, no, maybe Cuba, then ran across your blog. Fate? Destiny? Have you heard any new news about going to Cuba (especially for Americans who can’t get a legal pass)?